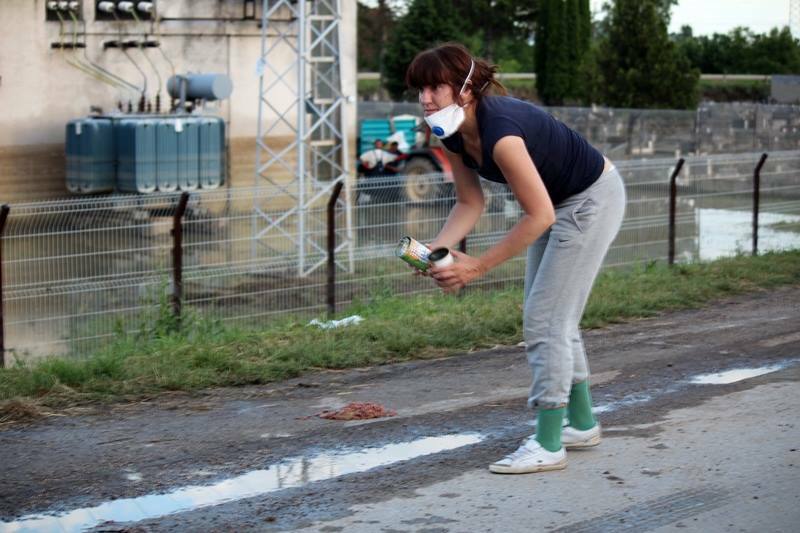 Dalida Kozlić is an ideal spokesperson on the topic of protection of animals. 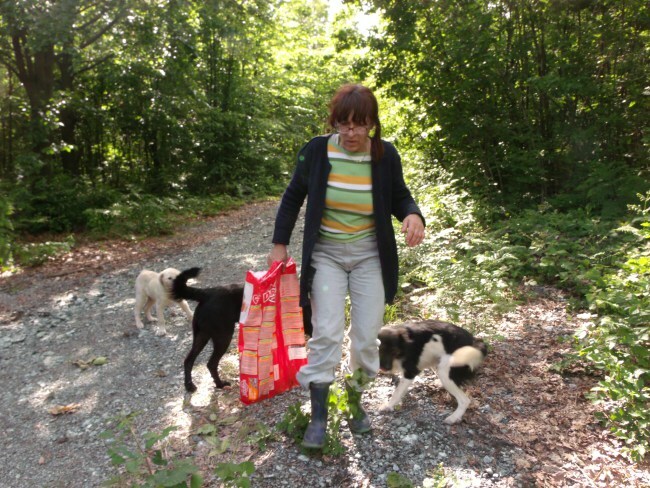 She is a lawyer who deals with the legal protection of animals, including documentation and reporting of crimes of torture and killing of animals, as well as the failure to implement and violations of provisions of the Animal Protection and Welfare Act of Bosnia and Herzegovina. 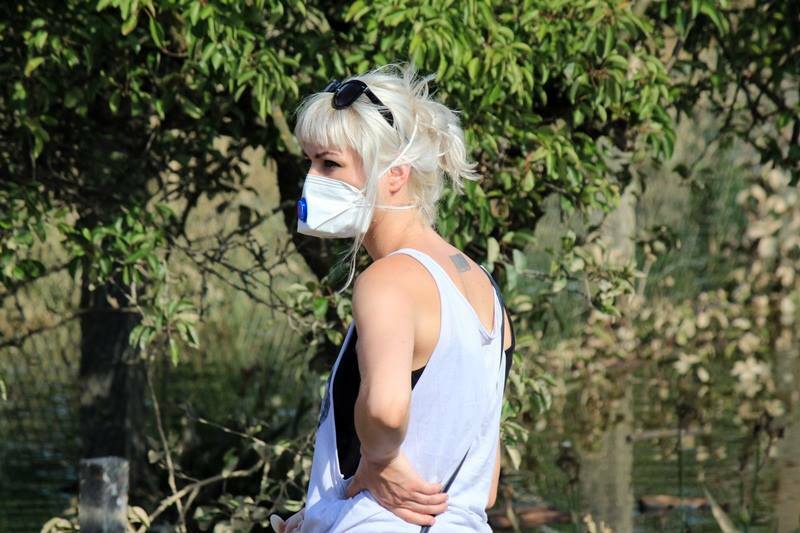 This young girl (24) is an activist for animal rights and a rescuer with more than 15 years of experience. 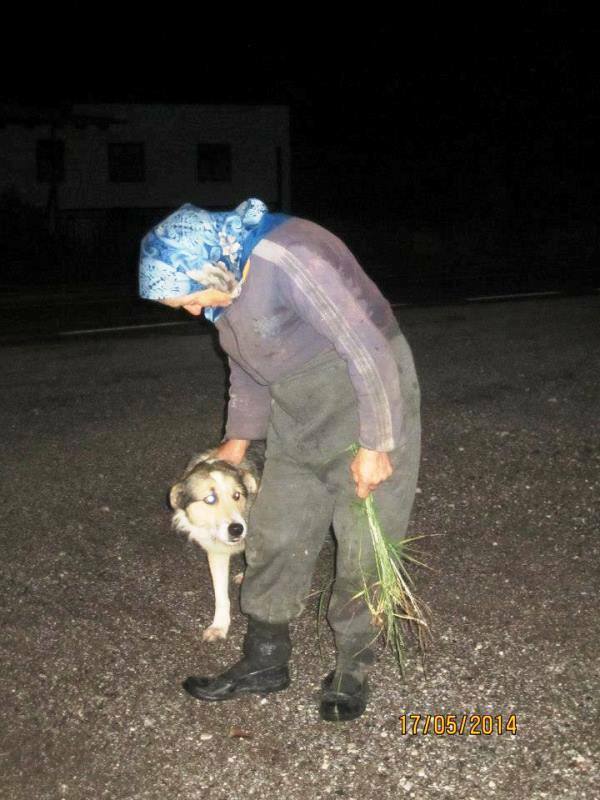 We began to correspond when I saw Damir Janacek’s movie ” Kinofil “, which drew my attention to the situation of stray dogs in Bosnia and Herzegovina and to the abuse of animals in general. 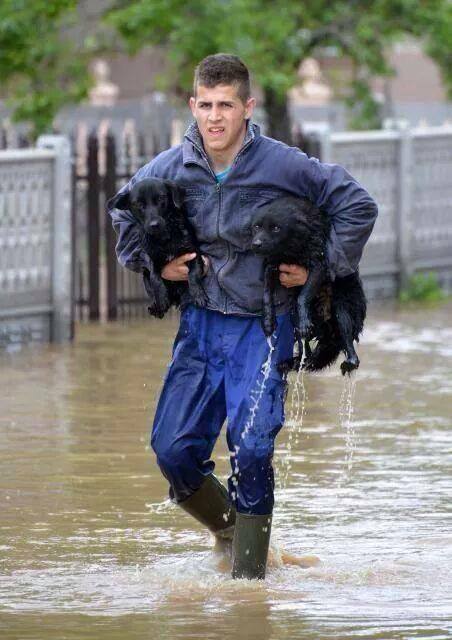 Since Bosnia and Herzegovina has been hit by the worst floods ever, I am wondering how animals are being rescued. 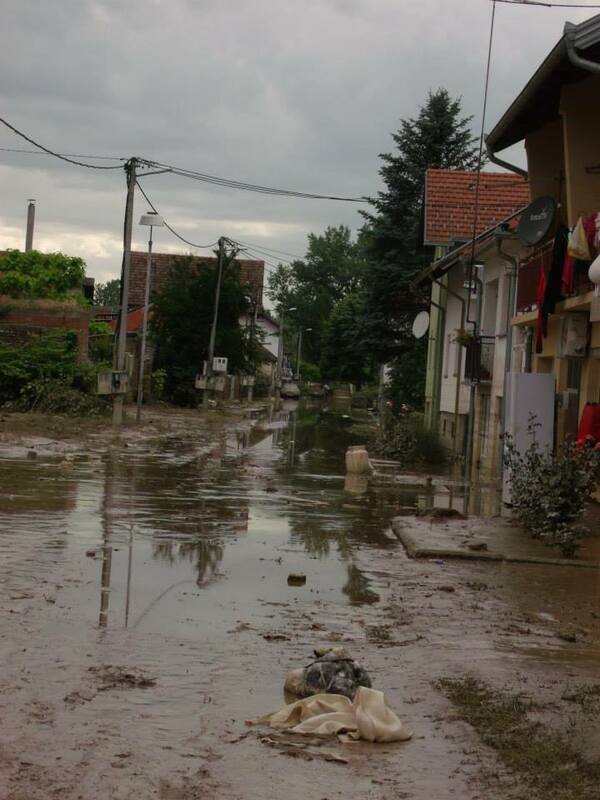 DK : The situation is terrible, especially in Doboj, Maglaj, Orašje, Odzak, Bijeljina, Bosanski Samac. Damage to properties and infrastructure will be almost the same as damage from the war. Unfortunately, there are casualties. Over one million people have no access to drinking water, thousands of people have lost their homes due to floods or landslides which have been destroying hundreds of houses. Homecoming will be a slow process for many people. Many houses were destroyed or became unsafe because of the huge quantity of water. Many of the affected areas have lost literally everything. Restoration of terrain will be a long and slow process. DK : Unfortunately , many animals were killed. In some areas all livestock died. Many wild animals were killed in landslides, and many left their habitats. Many stray animals died too. Some stray animals escaped to forests and mountains. Unfortunately, many of them were injured or they drowned in the water. 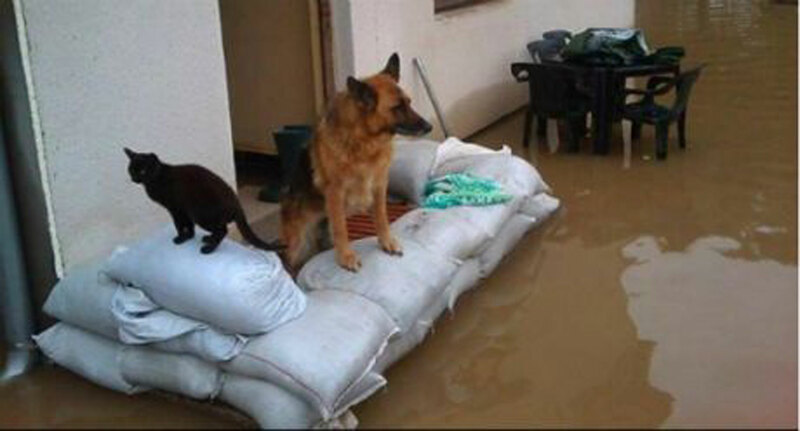 It has been reported that many people organised rescue operations for stray animals, pets and livestock. 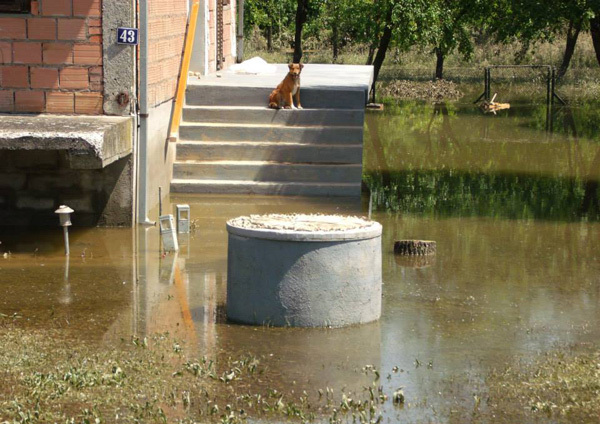 There were cases where people didn’t want to be evacuated without their animals. 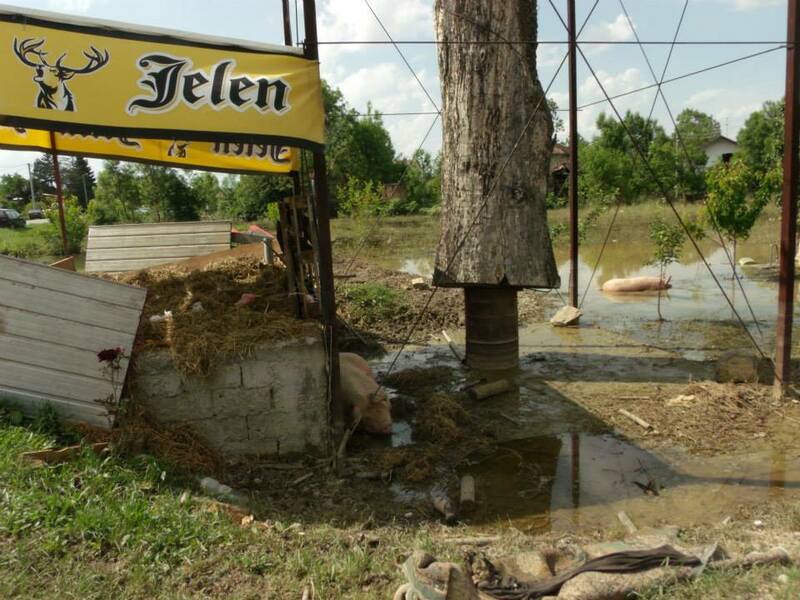 Unfortunately, people were not in such solidarity with the animals in some parts of Bosnia. Many cattle weren’t discharged from the stables and corral; too many animals remained tied with chains in some areas. Some of them were rescued, and some weren’t saved. There is a very positive aspect that many people have been doing their best to save the animals for more than 10 days, but there is a terrible side that many animals have been left at the mercy of nature – consciously by the owner. 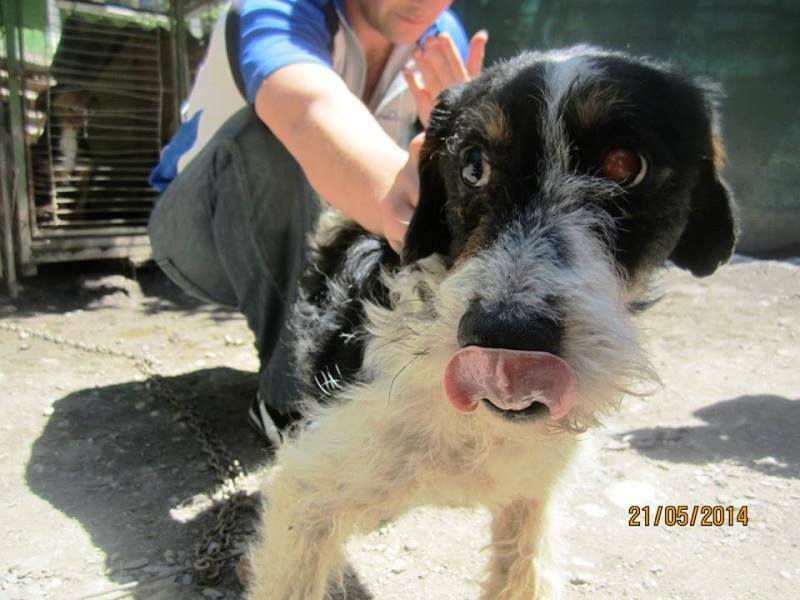 BDNJ : Has the government done something in terms of rescuing of animals and their care? DK : The reaction of the state when it comes to animals is as usual inadequate. Prevention and / or suppression of the epidemic ought to be a priority. 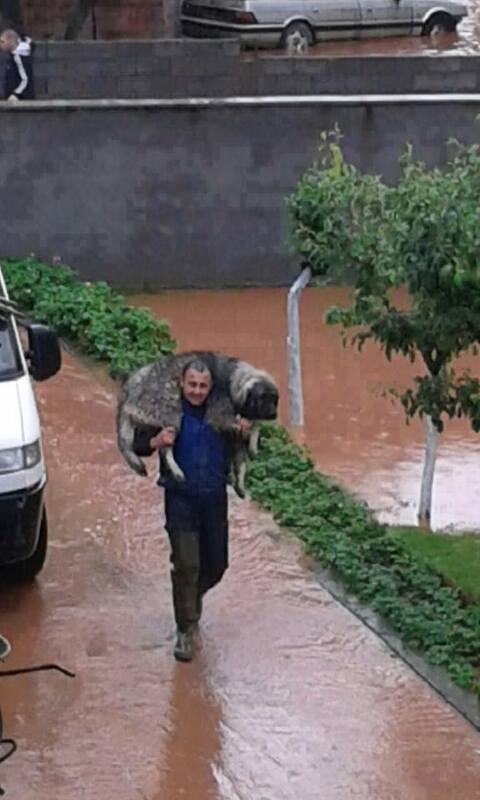 Not enough or nothing was done to rescue animals during floods since many of them had been wounded or sick. 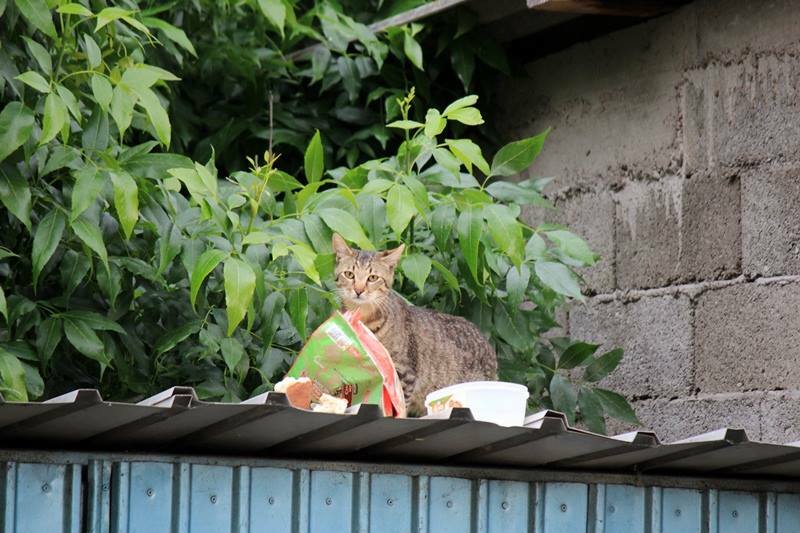 Given that there are numerous obstructions in the implementation of the Animal Protection and Welfare Act, injured and sick animals have nowhere to be placed. 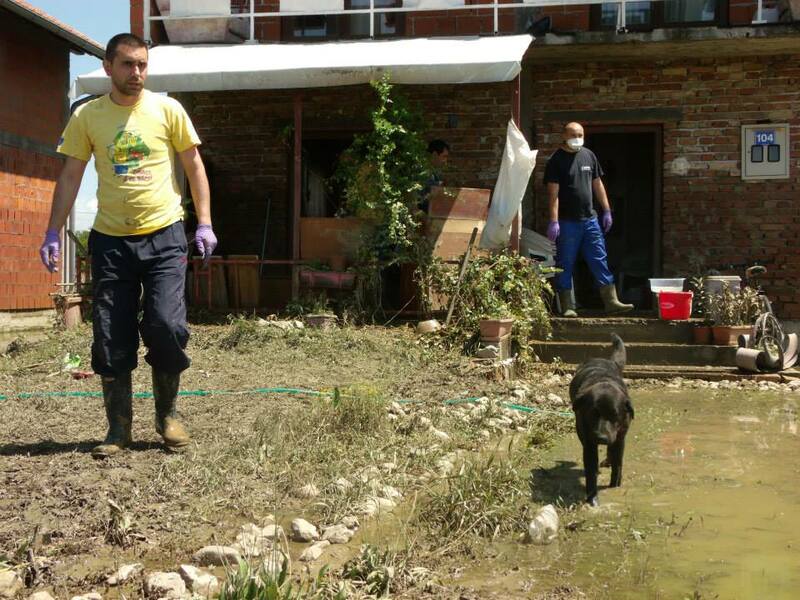 The Veterinary Office and the Faculty of Veterinary Medicine of University of Sarajevo have been working in the field of combating epidemics of various diseases, given that corpses of animals and garbage is being removed very slowly, and that temperatures are very high. 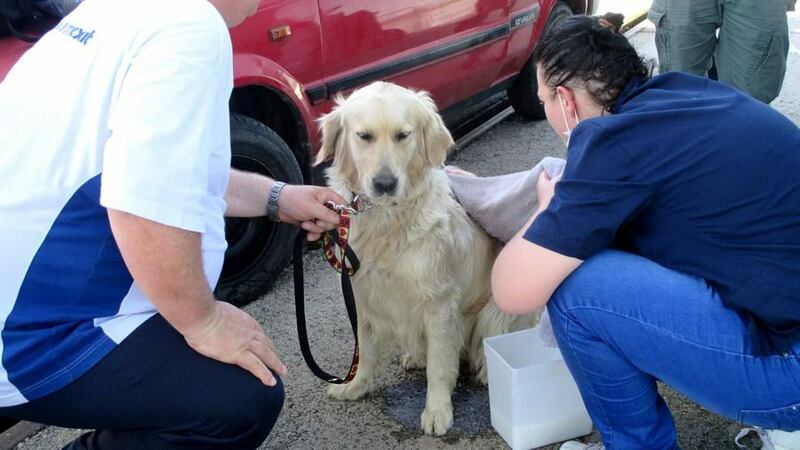 BDNJ : Many volunteers and members of animal protection associations have been saving animals in Croatia. What is the situation like in Bosnia? 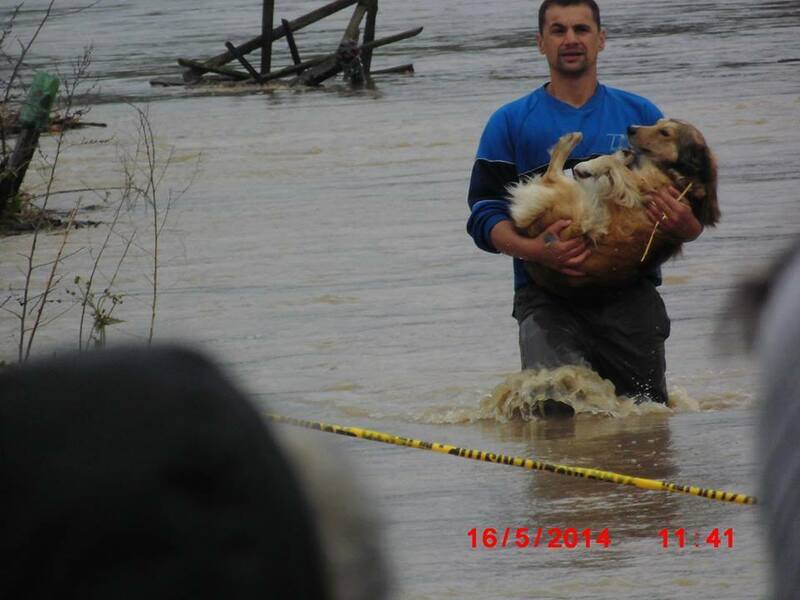 DK : Many activists, rescuers and volunteers have been saving animals in Bosnia. We are working 24/7 to provide food, medications, veterinary assistance and fostering for the animals. We do not have any help from the state. Many international organizations and individuals are helping us in different ways. It is very important to act preventively because of diseases and to provide vaccines and medications. 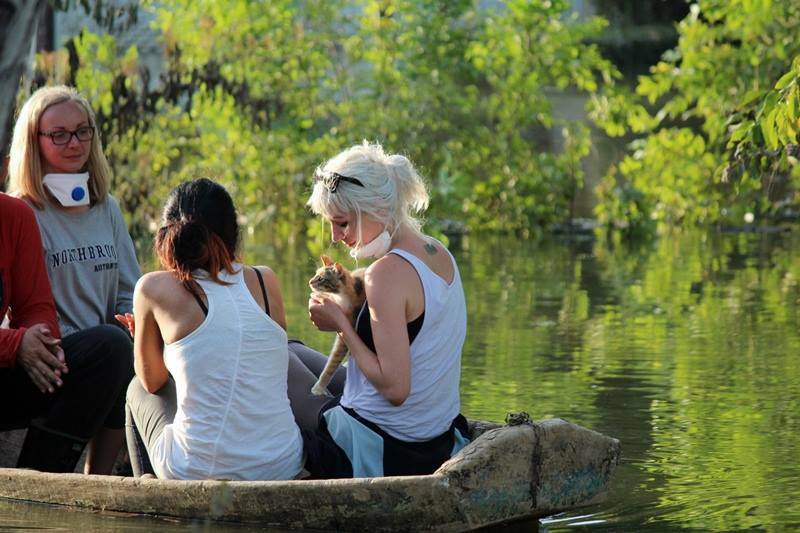 Also, activists continue to organise the rescue of animals in the flooded areas. 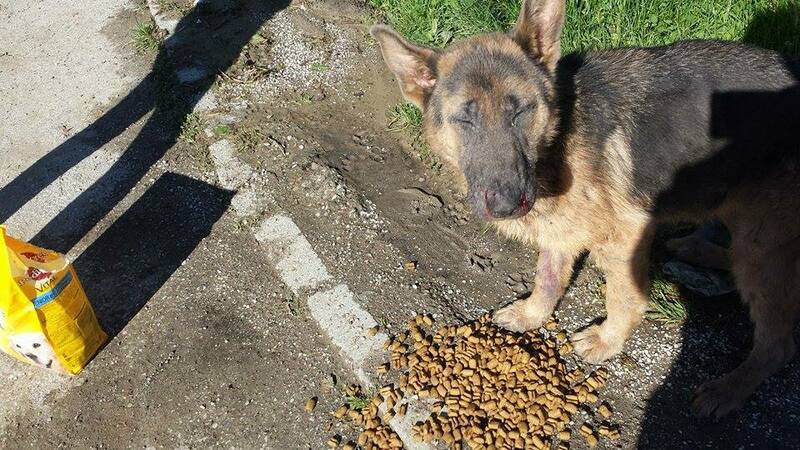 I express my great appreciation to the organisations Marianne’s Dog Food Bank and Animal Welfare Advocates for Bosnia and Herzegovina, which have given us all possible assistance in rescuing of animals. 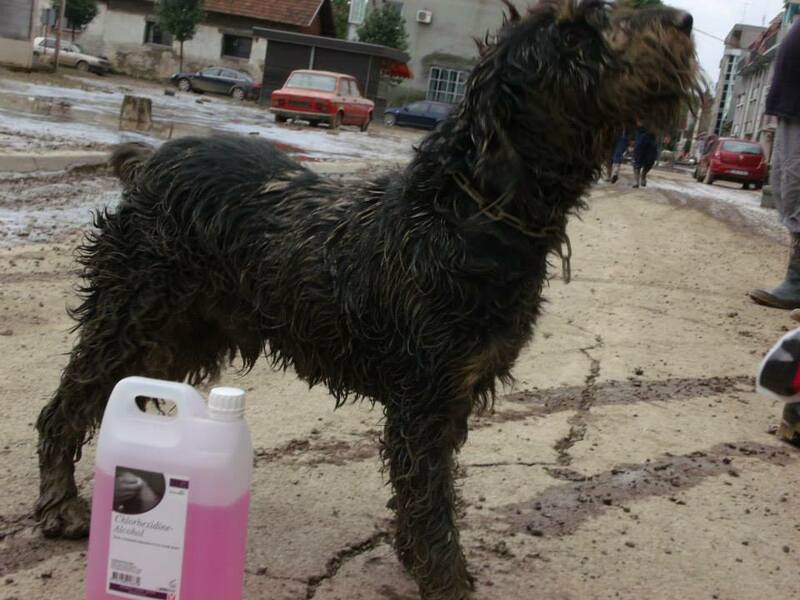 These organizations have been fighting for animal rights in Bosnia and enabled the rescue of thousands of animals. 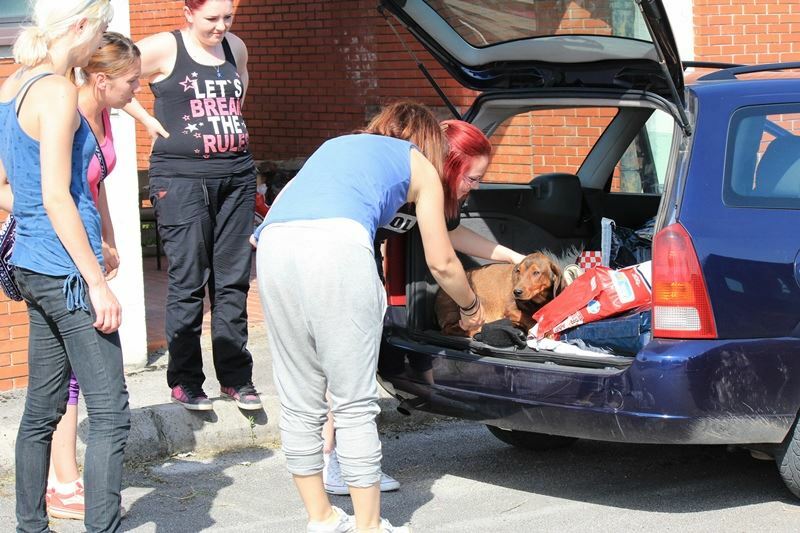 Their help is invaluable and I have to point out that many animals have been rescued in the previous period. 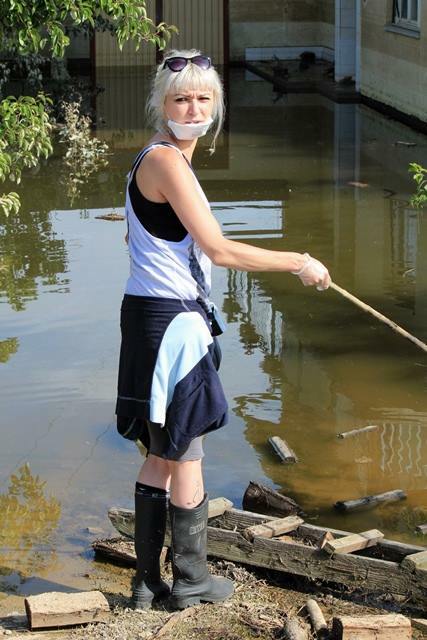 Many activists are constantly on the field and provide all possible care and help for animals. I want to thank to the wonderful teams from Sarajevo (Jelena , Alica, Edina , Arijana , etc ) and Tuzla (Amila, Ivana ) for the courage and dedication they have shown . BDNJ : Does it seem to you that this disaster somewhat has changed the attitude of people towards animals ? Are people aware that we equal are in the face of all horrors? 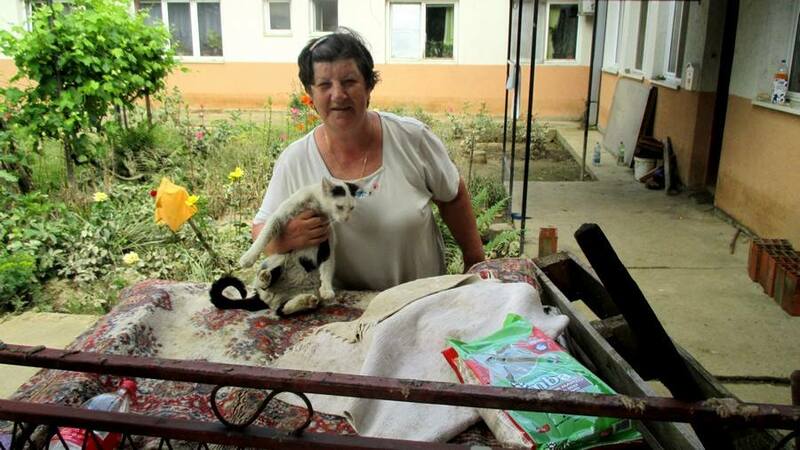 DK : The consciousness of people about animals has changed in some parts of Bosnia. 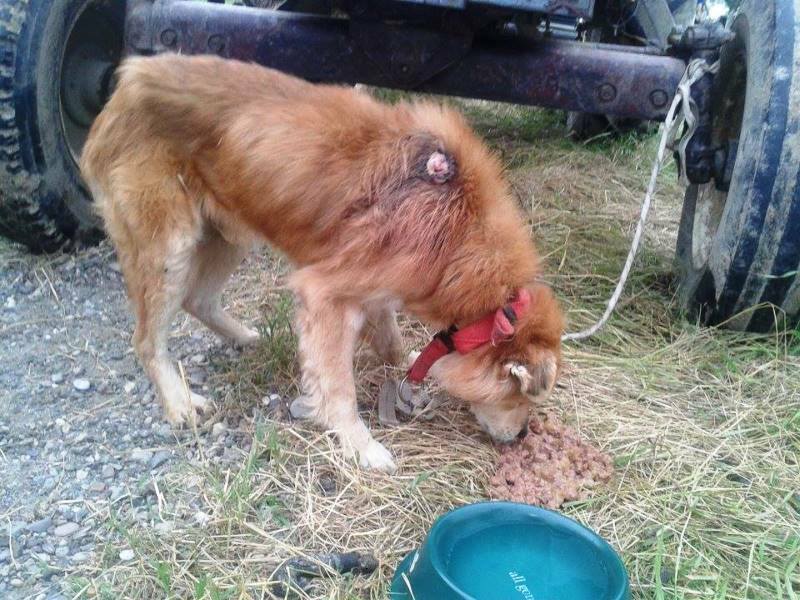 People have expressed their support to the most helpless creatures, but unfortunately in some areas of Bosnia and Herzegovina it is not going to happen for a long time. 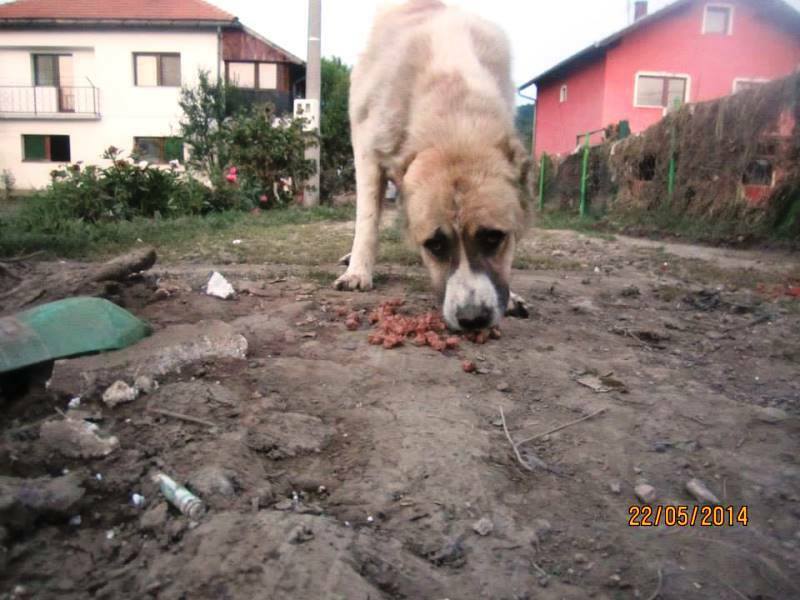 BDNJ : What is happening with the legislative procedure on the draft amendments to Animal Protection and Welfare Act of BiH, which provides for the euthanasia of stray dogs ? DK : Proposal for changes and amendments to the Animal Protection and Welfare Law contains obscene, primitive and inhuman provisions for euthanasia of healthy stray animals that are fostered in shelters (which have never been created) for stray animals, if they are not adopted in 14 days. Legal procedure is not completed and no one knows when it will be finished in the House of Peoples of the Parliamentary Assembly since a vice president and member of the House of Peoples Sulejman Tihic has cancer. For this reason, meeting of the Collegiums of the House of Peoples cannot be held to discuss amendments to the Animal Protection and Welfare Act. We hope that the face of disaster will show people that all suffer equally and that there is no need to inflict more pain when there are humane solutions. And finally, here you can see the documentary Kinofil. It is very sad. And very good. More about Dalida and how you can support her work here. If you can help in the fundraising effort to assist rescue groups in the aftermath of the floods please donate via our YouCaring or via Paypal to donations@awabosnia.org as per the instructions below and mark it for EMERGENCY FUNDS. Thank you! No amount is too small. 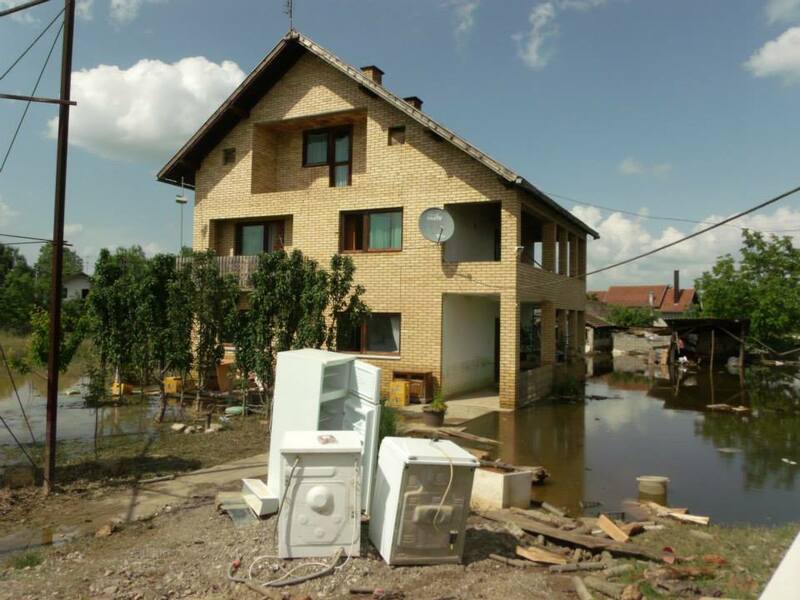 CRISES IN BOSNIA CONTINUES…. 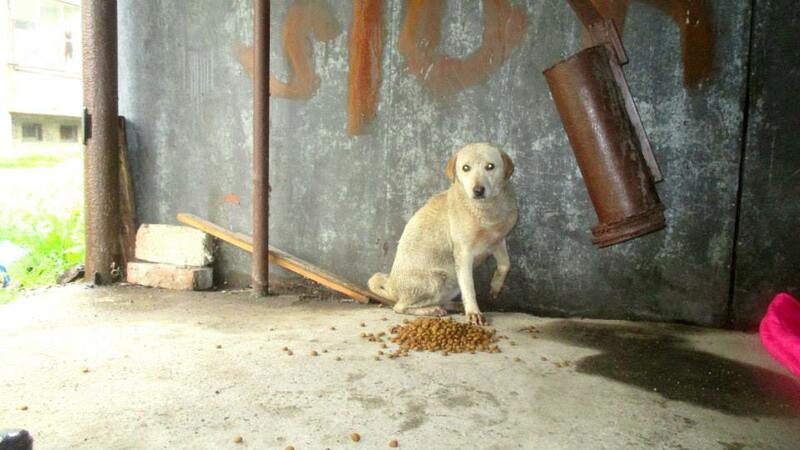 dogs and cats abandoned and stranded! 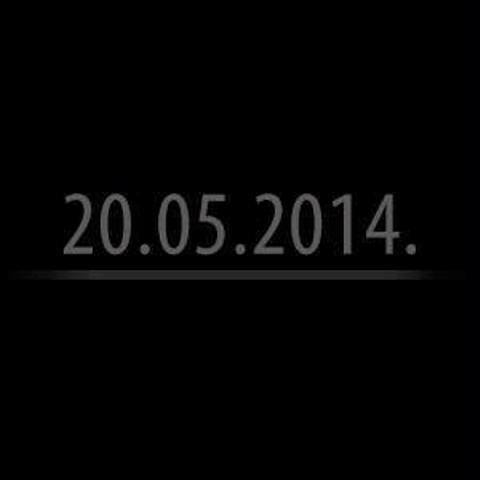 Day of Mourning in Bosnia Herzegovina.. how many animals have died? 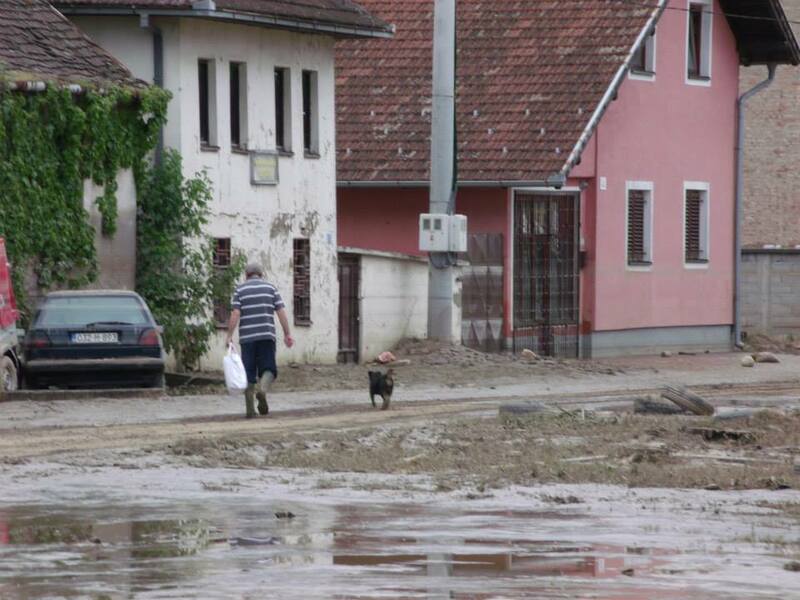 THE CRISIS CONTINUES: all help still needed for the dogs and cats of Bosnia! DAY THREE: STATE OF EMERGENCY – all help needed! 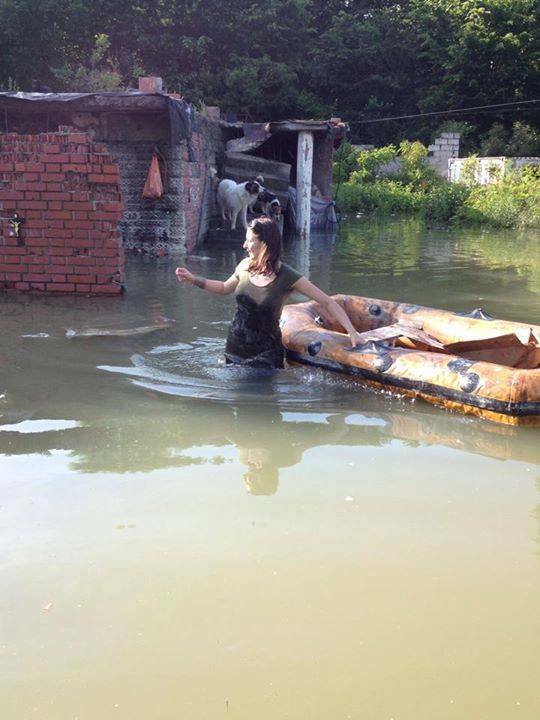 WORST FLOODING IN 120 years! 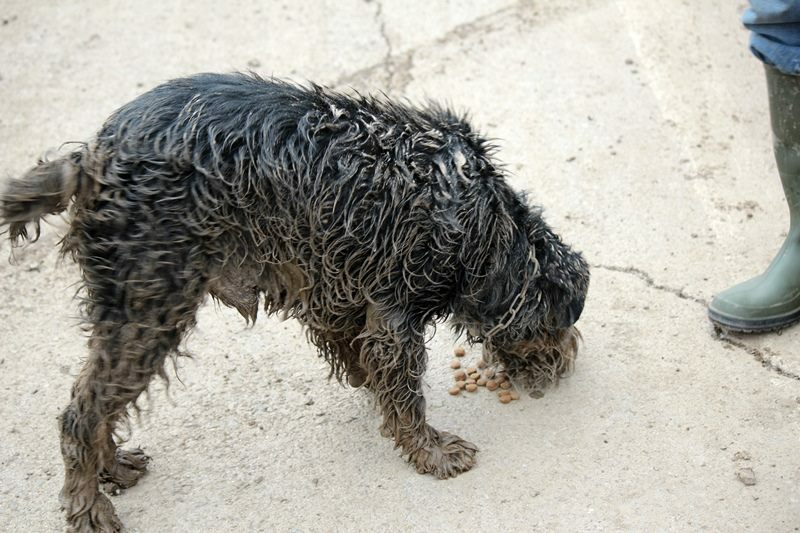 Strays and pets are in dire need! 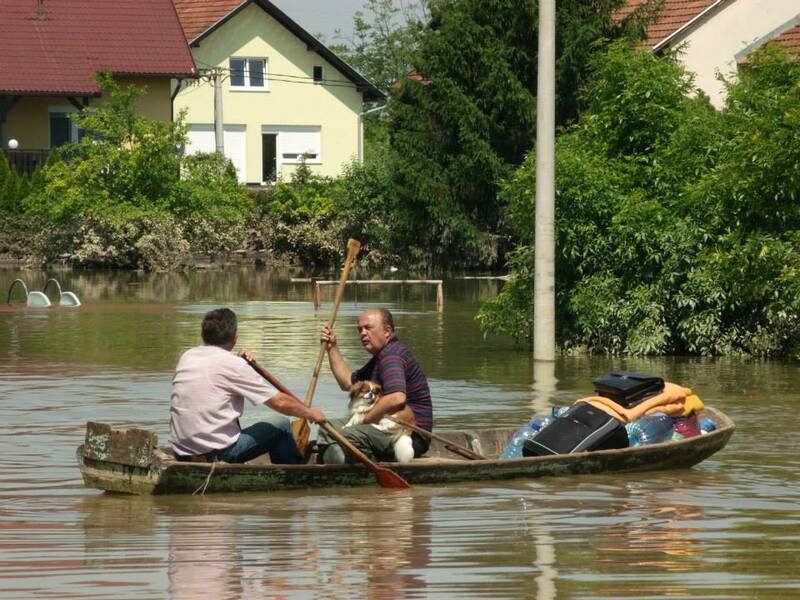 Rescuers have been working around the clock in the most severely affected areas of Bosnia Herzegovina. 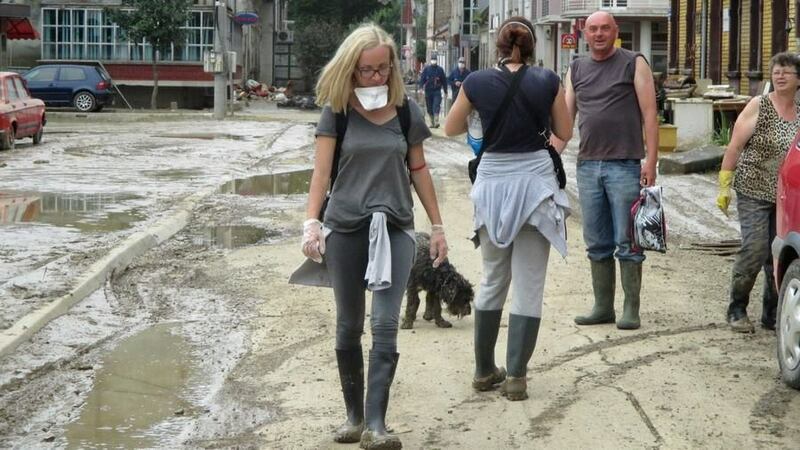 Our respect goes out to everyone involved – rescuers from Marianne’s Dog Food Bank, Angel’s Breath, Journalists for Animals, Andjeo Sarajevo, in particular Caki Bravo, and so many other individuals who have joined in the efforts. Your donations have helped save lives, thank you so much! Help is still needed, please keep sharing our YouCaring Fundraiser. 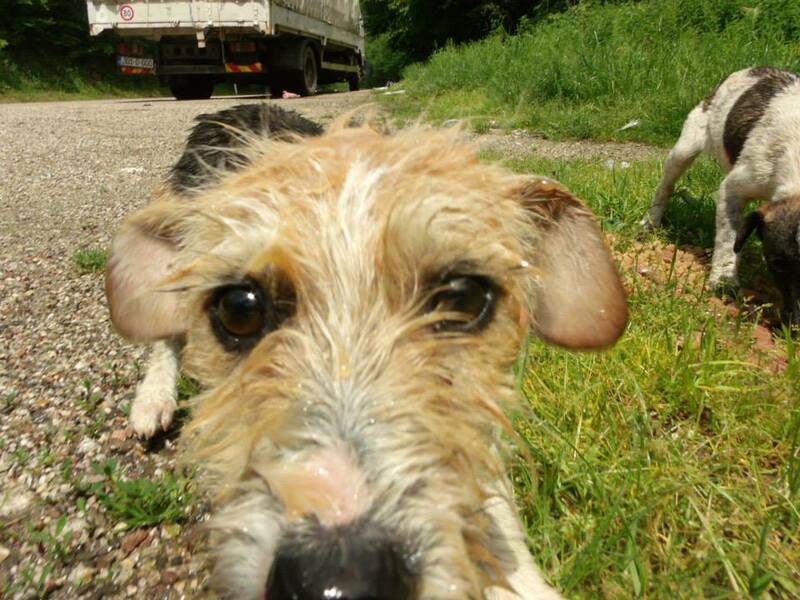 One story: today, on the way to Orasje to assist with emergency rescue efforts Andjeo Sarajevo saw this dog…. 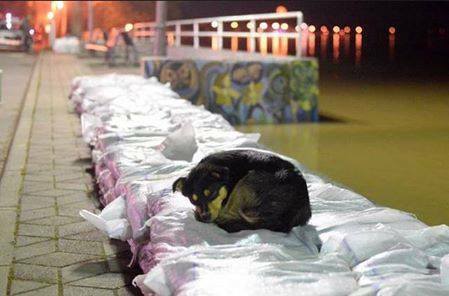 This dog had a family before the floods. 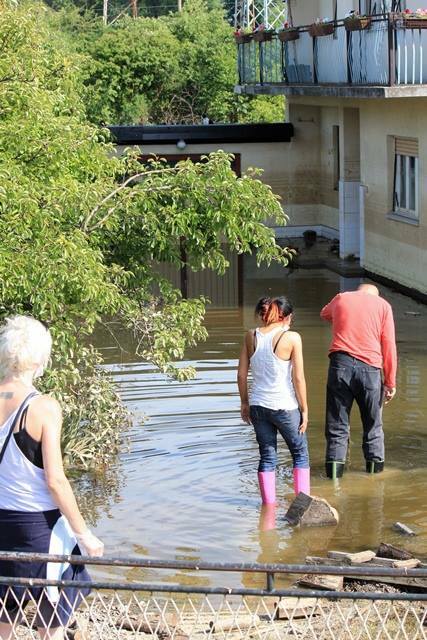 His family has lost everything they had in the flooding. They could not take care of the dog anymore. It is injured and slowly but surely starving to death. People asked Andjeo Sarajevo to put the dog down by driving their car over it to end his suffering. 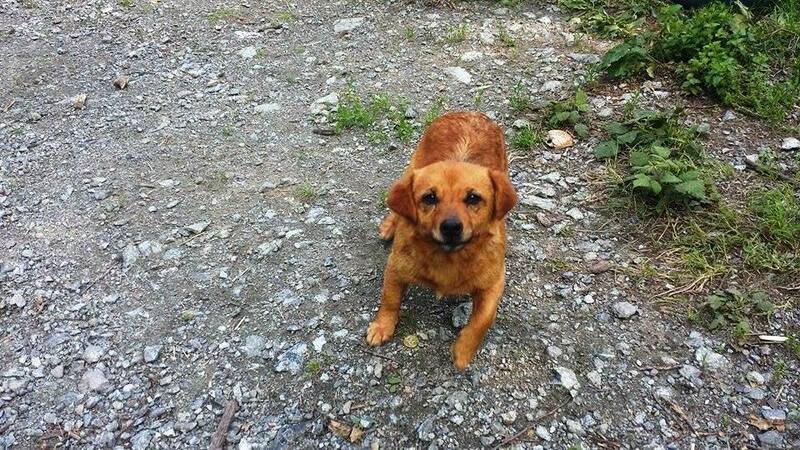 Andjeo Sarajevo will bring the dog to safety. 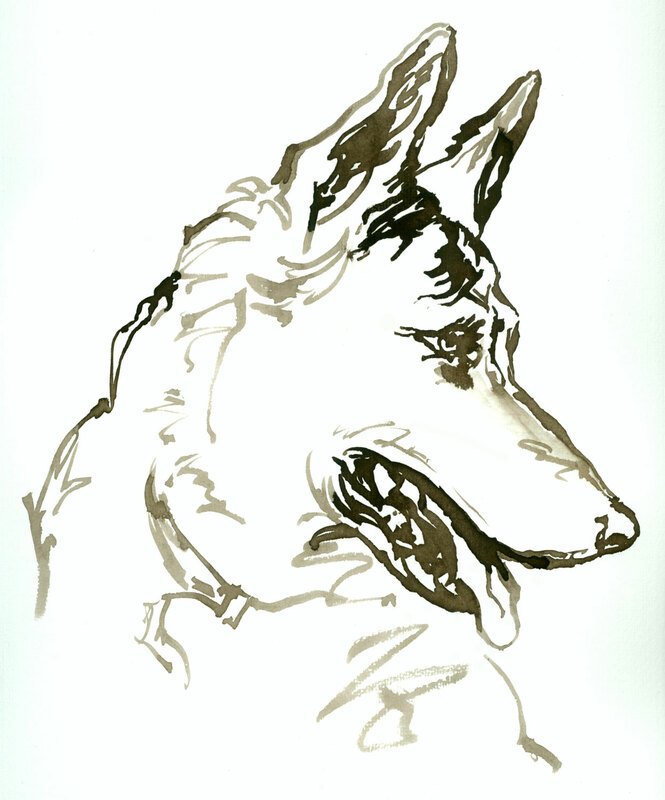 He has been named Dean after a generous animal advocate in Ireland, and has just been offered a home in Finland. But this is the reality of the situation. 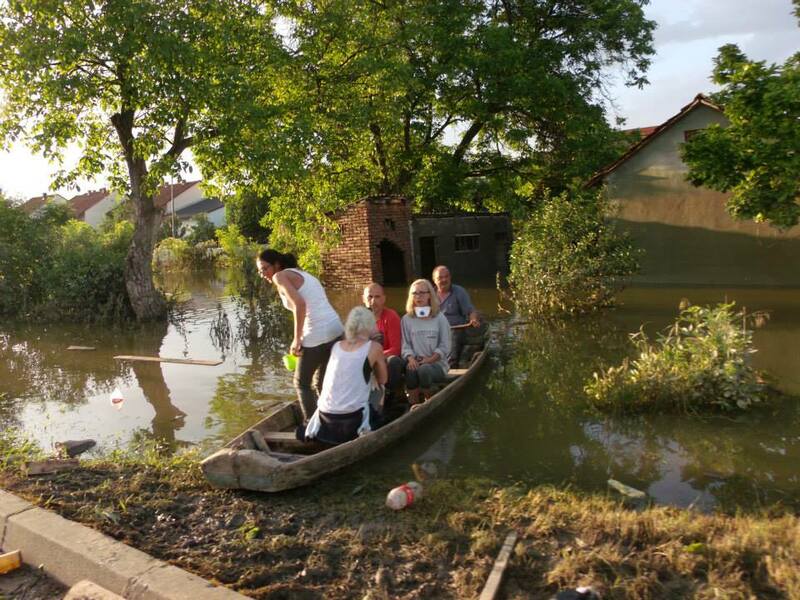 So many people have nothing – their homes washed away in the floods, they had so little before and now they have nothing. If you can help please donate via our YouCaring or via Paypal to donations@awabosnia.org as per the instructions below and mark it for EMERGENCY FUNDS. Thank you! No amount is too small. 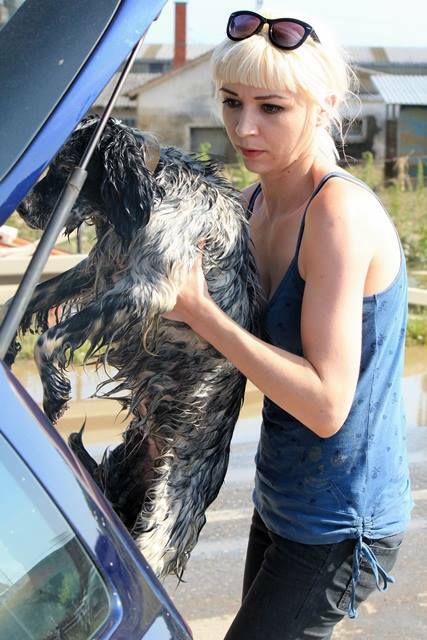 Animal rescuers have been working around the clock in Bosnia – but the situation is desperate and rain has started again… So far, no international animal welfare organisations are able to assist with the evacuation and rescue of dogs and cats and rescuers lack enough manpower, cars and also boats to actually get to areas where dogs and cats are stranded and starving. It’s a critical situation. 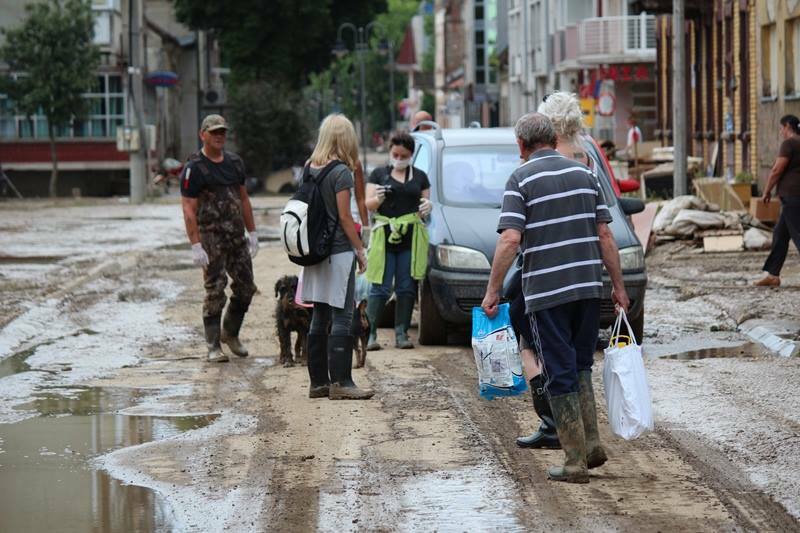 Rescuers from Tuzla area (Amila Citakovic, Dutch Lansky and Ivana Tomic with Marianne’s Dog Food Bank and Angel’s Breath) have been in the Samac area which has been severely affected. 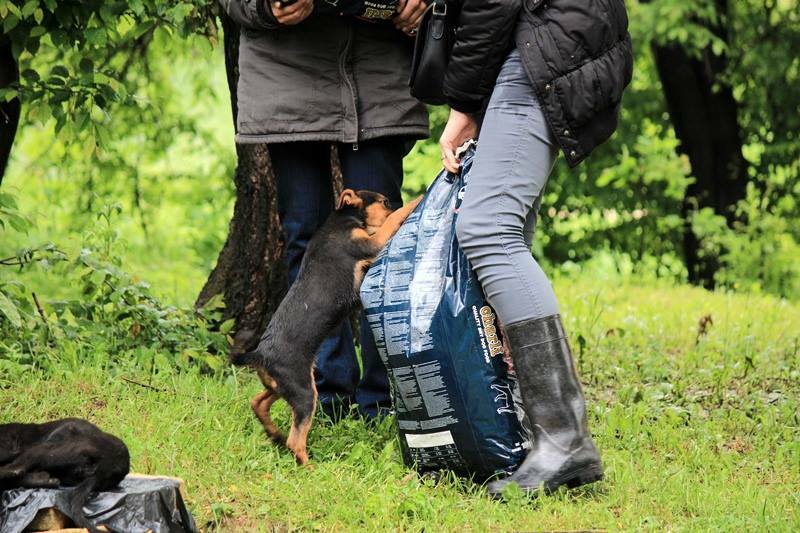 In the last days they took 300 kilos of dog food, medication for dogs, blankets and many other supplies try to set up a safe place for evacuated dogs. 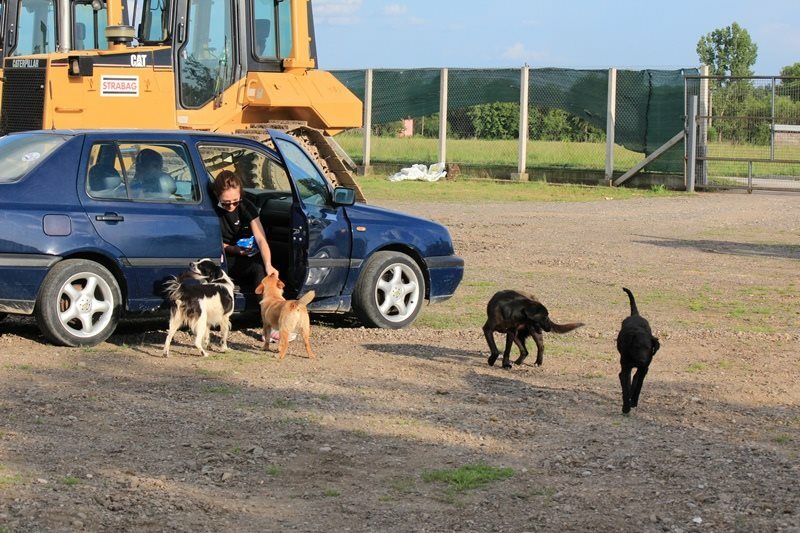 They have managed to get official permission to enter Bosanski Samac from the crisis headquarters of Republika Srpska and are organising an evacuation of dogs in Samac and Orasje area this weekend. 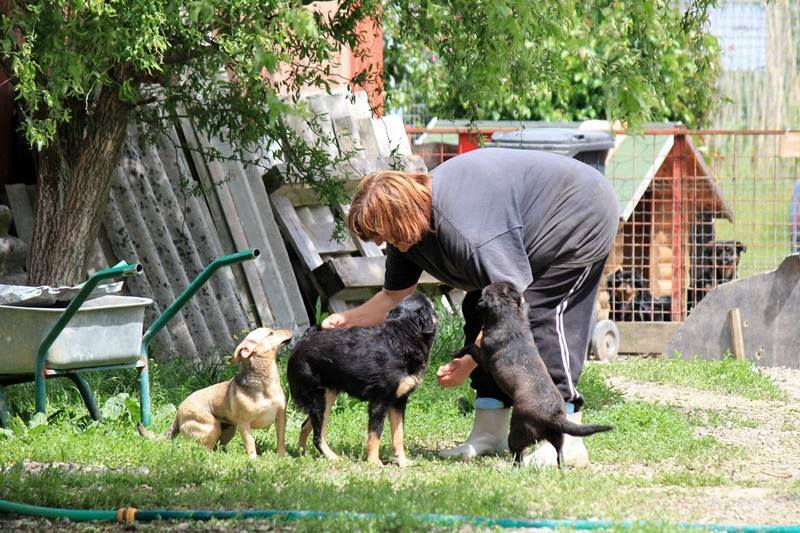 Volunteers are needed, those who are experienced with frightened and disorientated dogs. 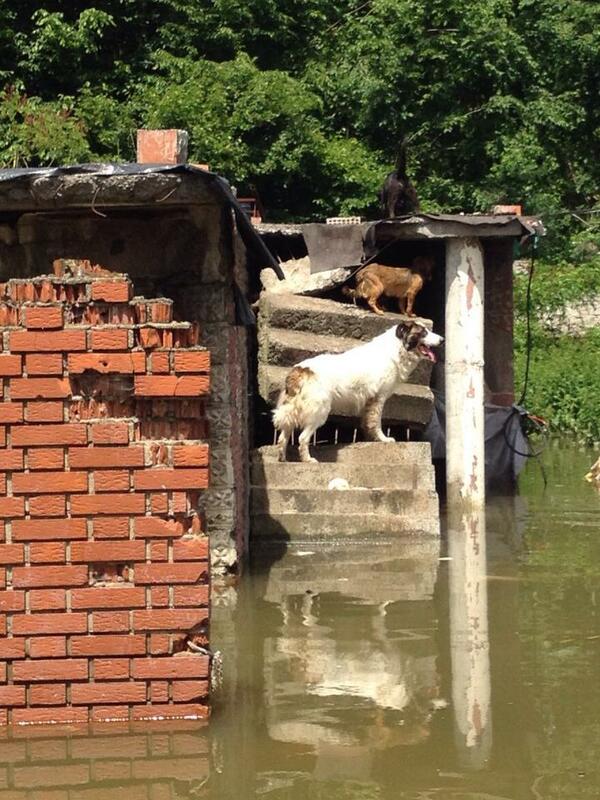 They need cars, a boat, leashes, collars, building materials, vet care, everything. 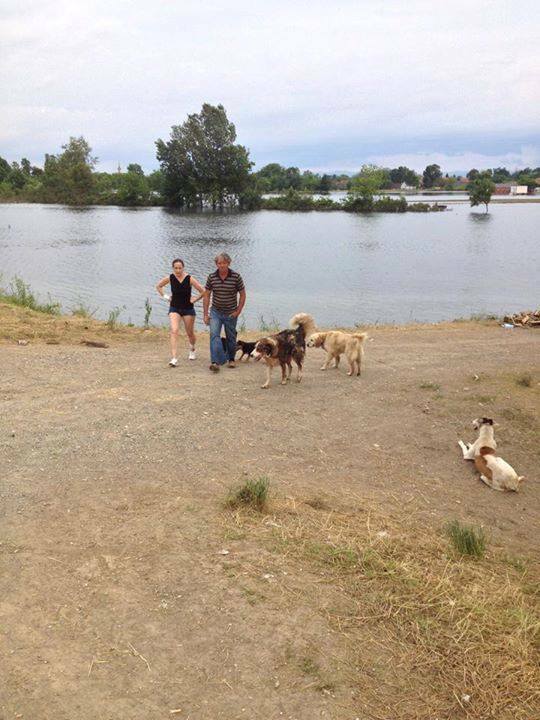 Our group, AWAB, have been in contact with Four Paws but they are currently in Serbia and cannot get to Samac to assist with the evacuation. 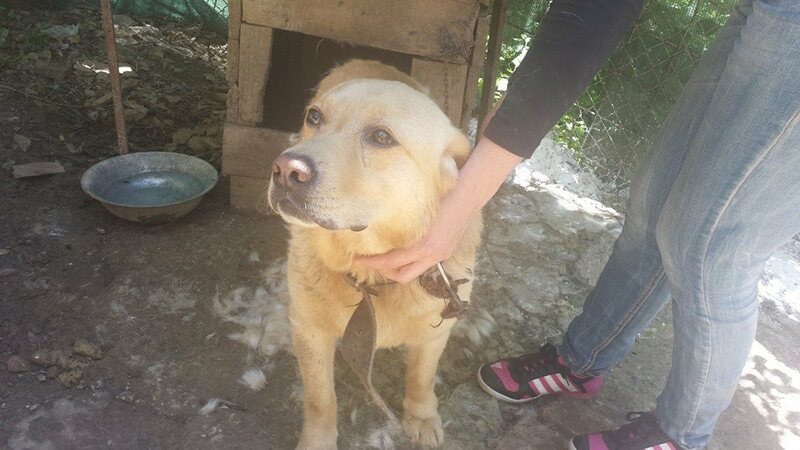 We have been distributing funds from our YouCaring fundraiser to as many groups and rescuers as possible. 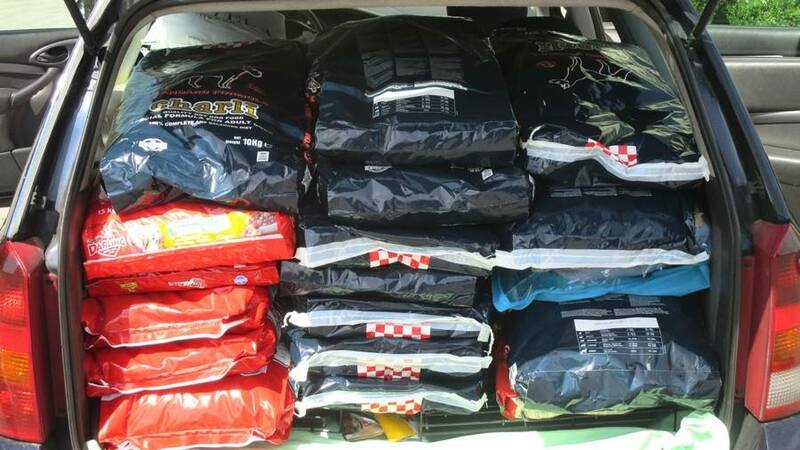 500 Kgs of food was brought to Zenica for Sapa Zenca organistion to distribute in the Zenica area and another 500 Kgs to Andjeo Sarajevo to distribute, all thanks to your donations…. (and to the help of Almir Kuduz of King Pension in Sarajevo). The work is not over. Please keep sharing the fundraiser. Most of the funds in it have already been distributed and there is much work still to be done. 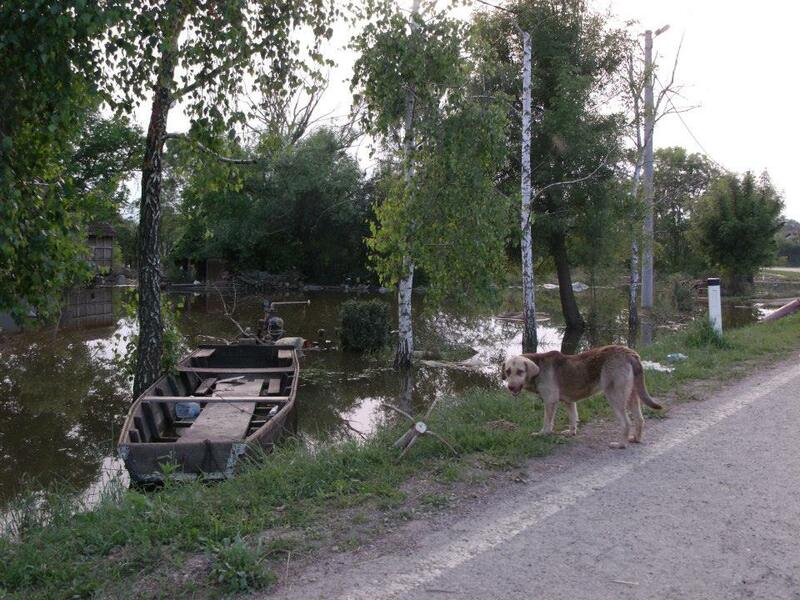 In the last days the Tuzla rescuers have visited the flooded villages of Vojskova and Prud but were prevented from entering by the police as the priority for authorities was to take out dead animals. 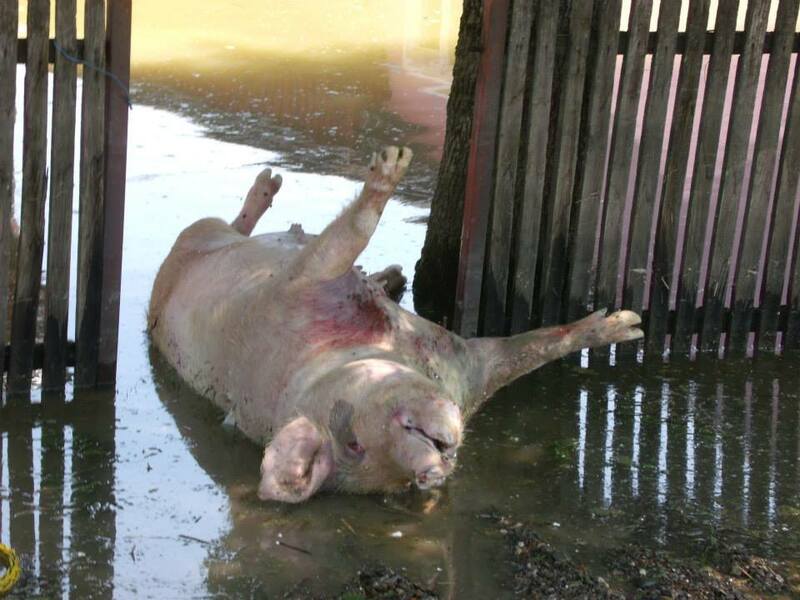 These are villages with many farms – many animals are dead there, mostly pigs and cows. 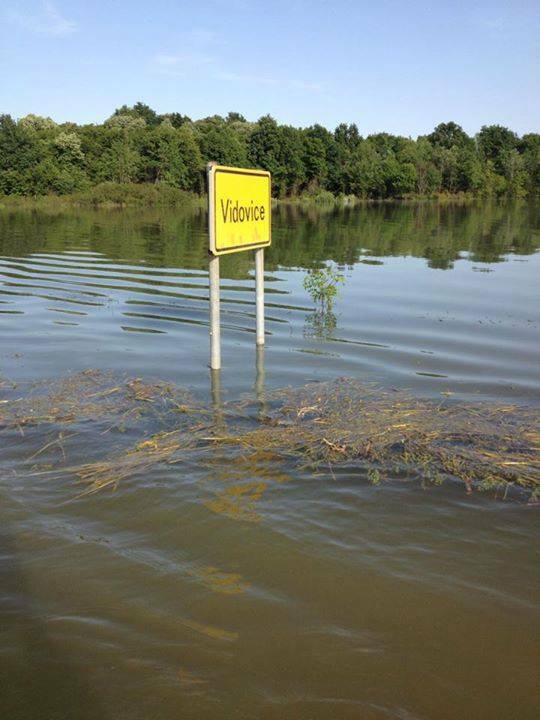 Civilians could not enter these areas. 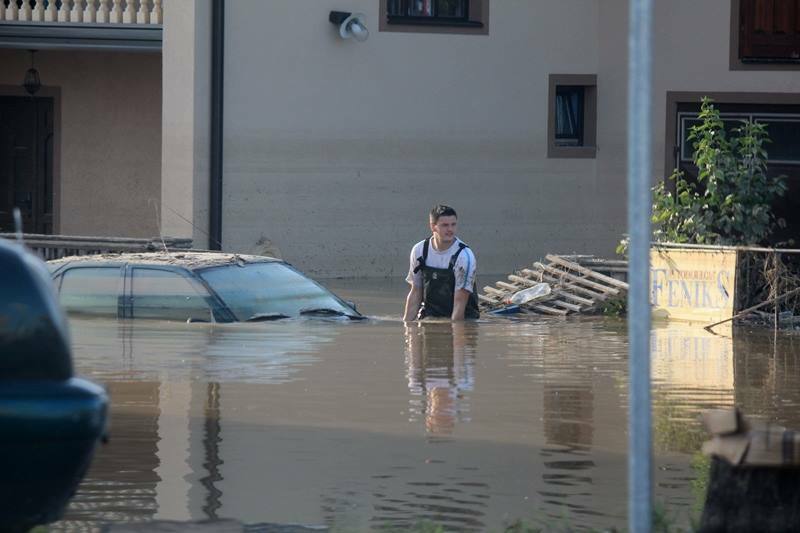 The rescuers spoke to the people there and were told that they are trying to feed dogs and cats that are still alive and on second floors of houses, and these people promised to keep them all alive until the water withdraws. Right now, corpses are floating around the area. 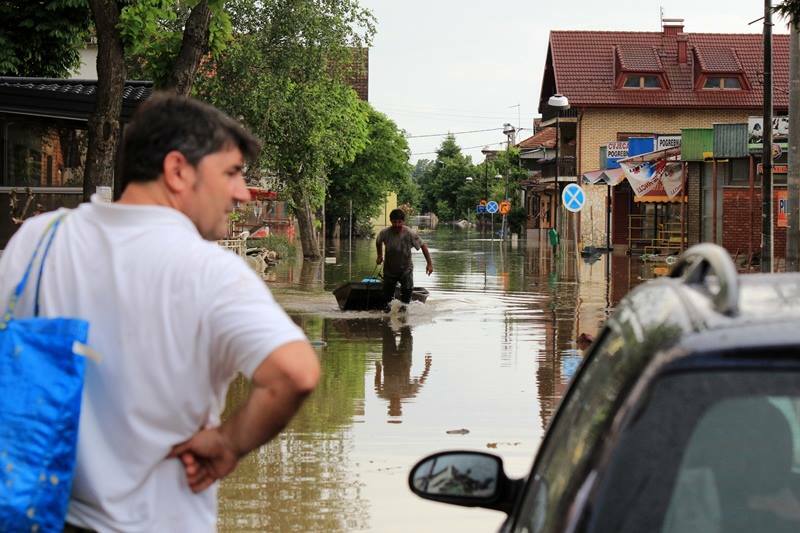 When the rescuers went to Bosanski Samac, a town hit by floods in the worst possible way, they were unable to enter the town without permission from the authorities (which they later received). Temperatures were high – 30 degrees. The town emitted a horrifying smell. 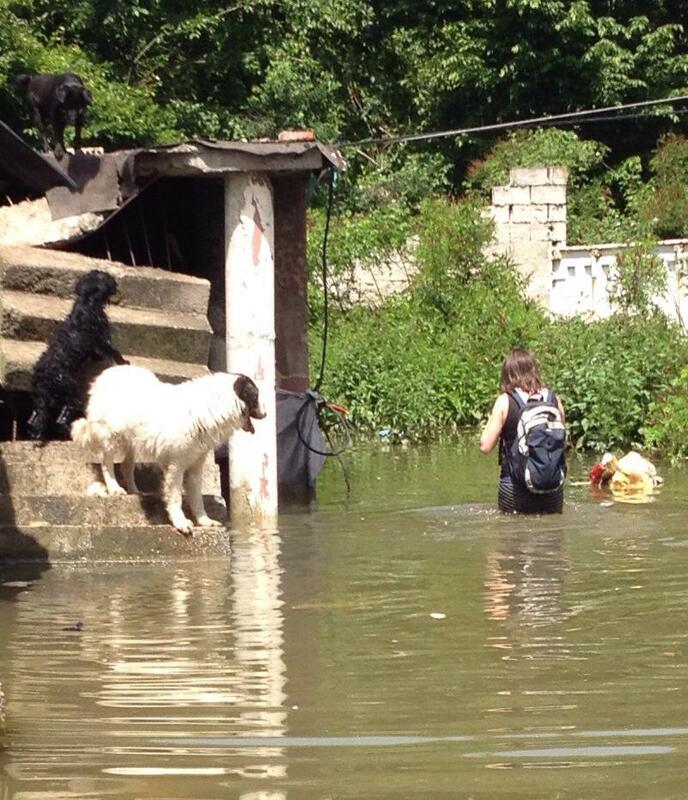 Dogs who had managed to get out of the flooded town had been gathering in a pack at the army point. 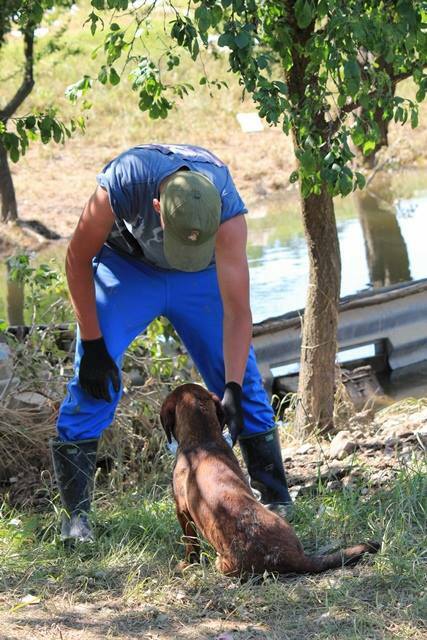 Reports are that hunters have been killing dogs. This was confirmed from several sources to rescuers and by soldiers and volunteers helping to evacuate people. The State Veterinary Office has been contacted about shooting of dogs. ThIs is what we know: basically Bih is in a phase of risk assessment and risk and damage control, (referring to health risk hazard). Major risk management includes elimination of transmission of diseases, and dogs are considered to be one way disease can be transmitted. 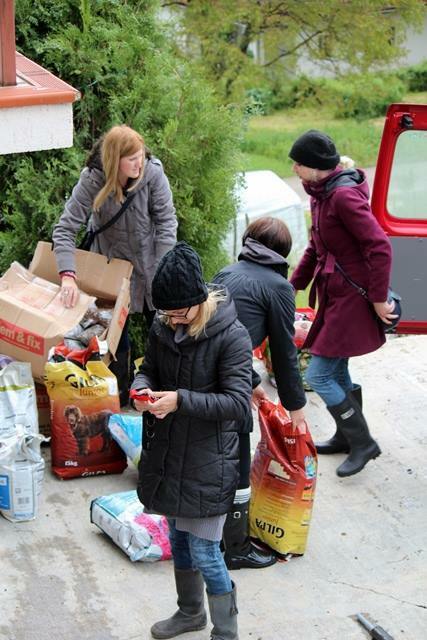 Rescuers from Sarajevo (Andjeo Sarajevo and Journalists for Animals and others) have also been active: they brought donations of dog and cat food for people who have animals but don’t have food to feed them. Also, they were able to deliver items of food and other necessities for people that had been donated locally. 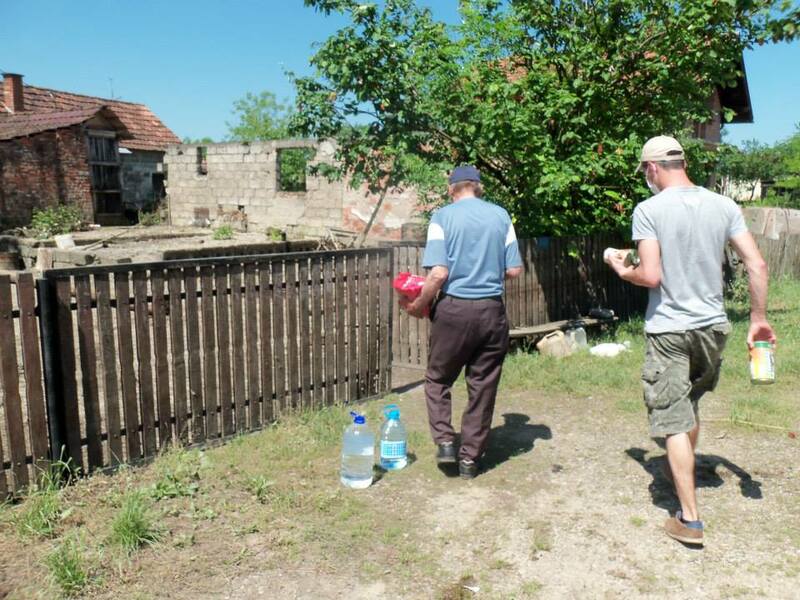 They once again visited the ‘horror’ shelters of Gorazde and Foca. 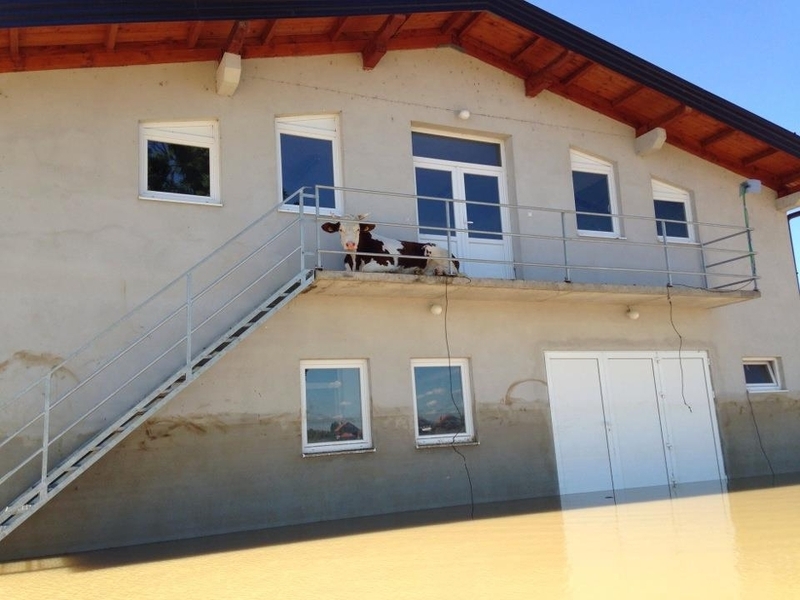 Fortunately, these towns were not severely affected by the floods but the shelters are still entirely inhumane for the housing of dogs, particularly Gorazde. 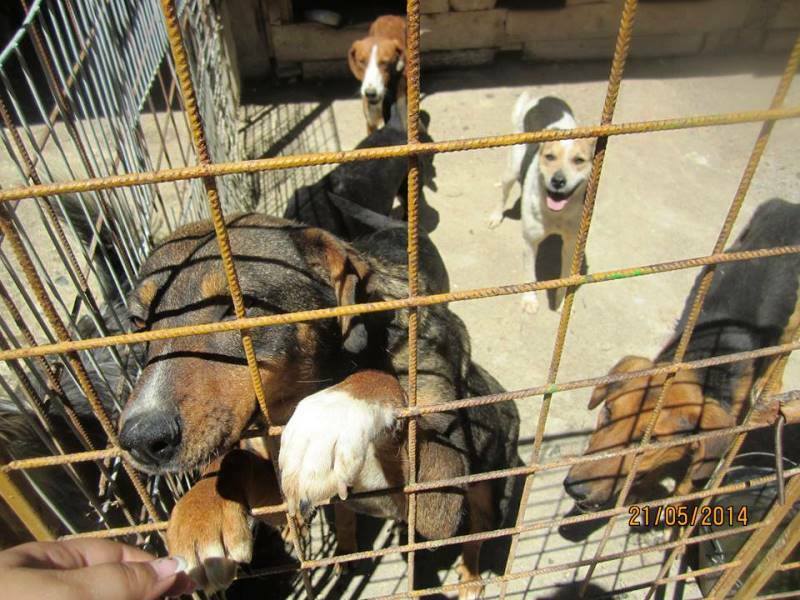 They still keep too many dogs at the shelters, and they keep a lot of dogs in small cages. 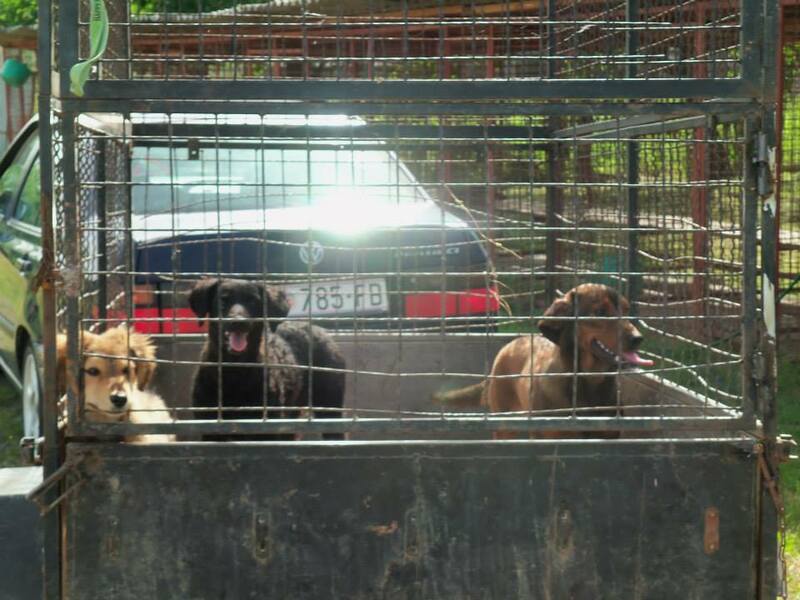 Luckily the man working there allowed Andjeo Sarajevo to bring food and water to the dogs. 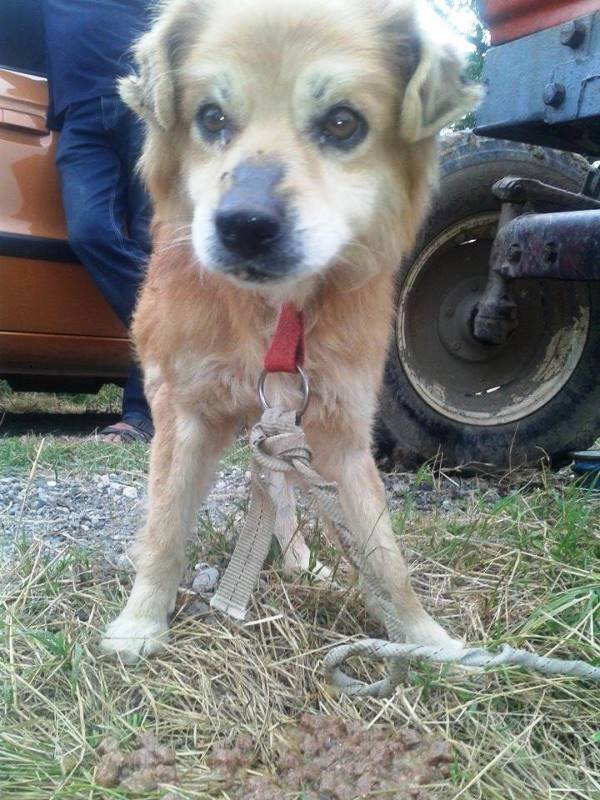 “We noticed immediately that something was wrong with one of the dogs… A small terrier is completely blind and the other dogs are jumping all over him, fighting for their survival, while this poor little boy doesn’t know what is happening to him. He was trying to get to us so that we could pet him, but it was impossible through the gratings. We asked the worker to permit us to take him out and take pictures of him, so that we could try to find him a home. We got to take the pictures, but he told us that we had to call the director and ask for permission if we wanted to take him with us. 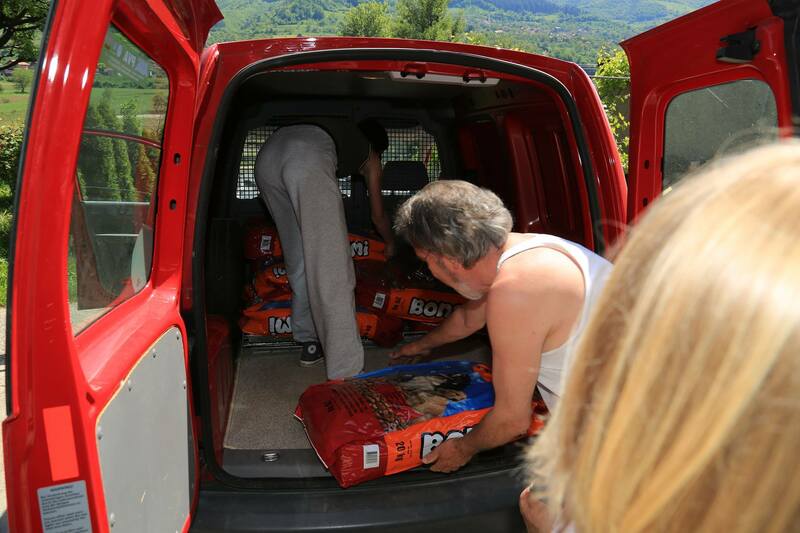 The rescuers also donated food to the shelter in Foca. There were only three dogs there, but they never keep many dogs. 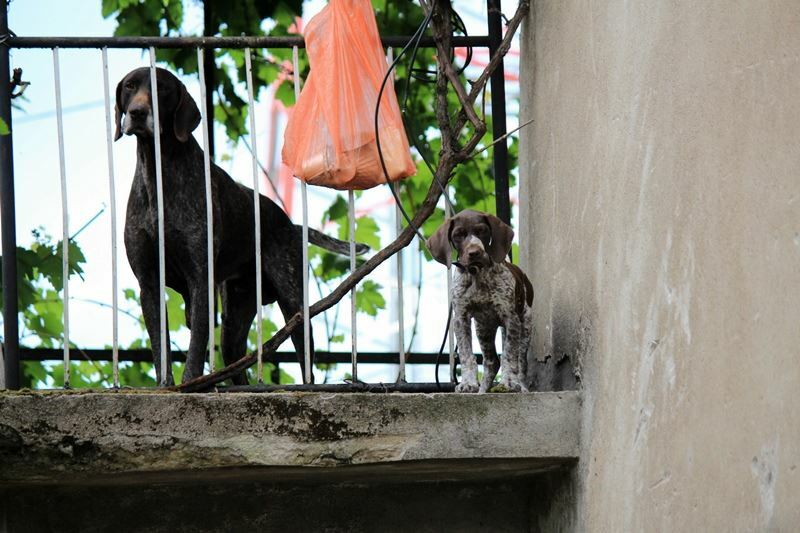 It is likely the kill them and launder money from the authorities through the few dogs they keep there. 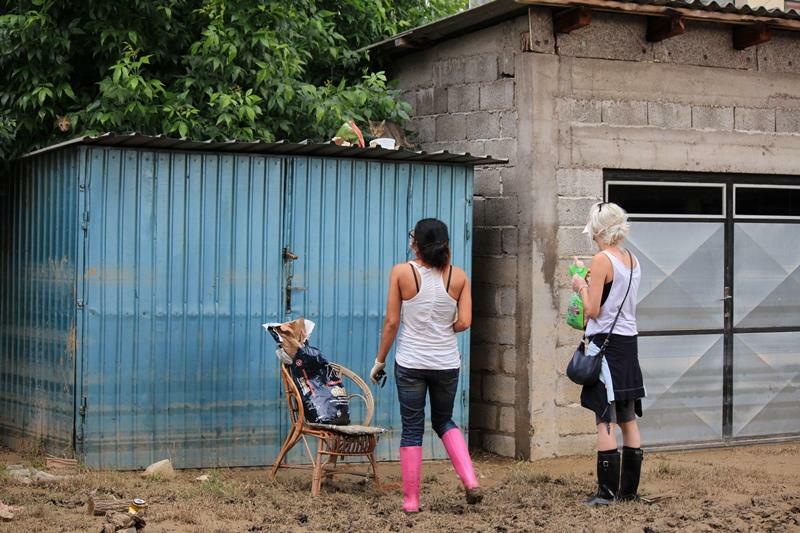 No photographs were allowed to be taken of Foca shelter, but the rescuers brought food and fresh water. 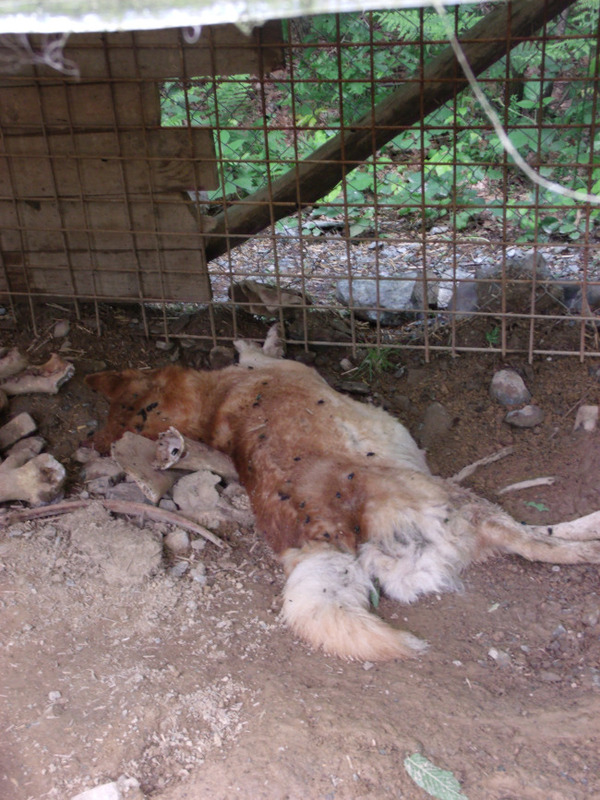 Bodies of dogs and cats are being found everywhere. 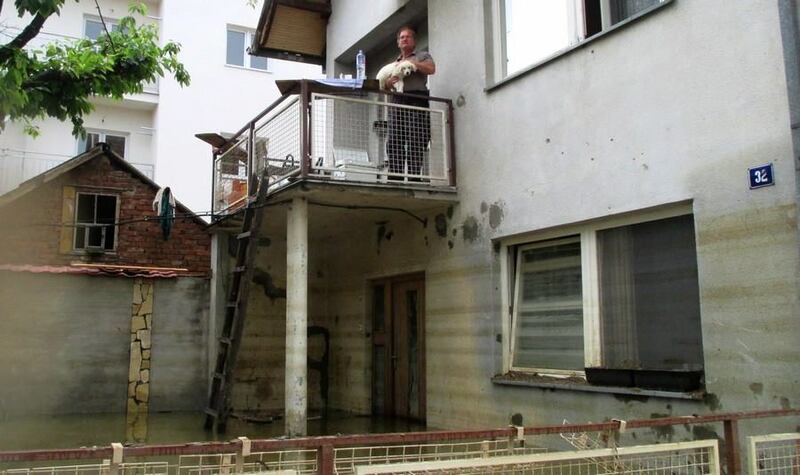 There are so many sad stories: Upon returning home after the flood, a resident of Topčić found his dog who did not survive the terrible floods…. Also, cows, pigs, rabbits, chickens have been left to die in the water. Epidemiologists say that many infectious diseases will be spreading within next few weeks. Many animals are injured. Many of them will be sick.The rescuers need your help to buy food, medications and to pay veterinary bills for vaccinations to help stop the spread of disease. Most rescuers are unemployed and so cannot afford to pay for such things. 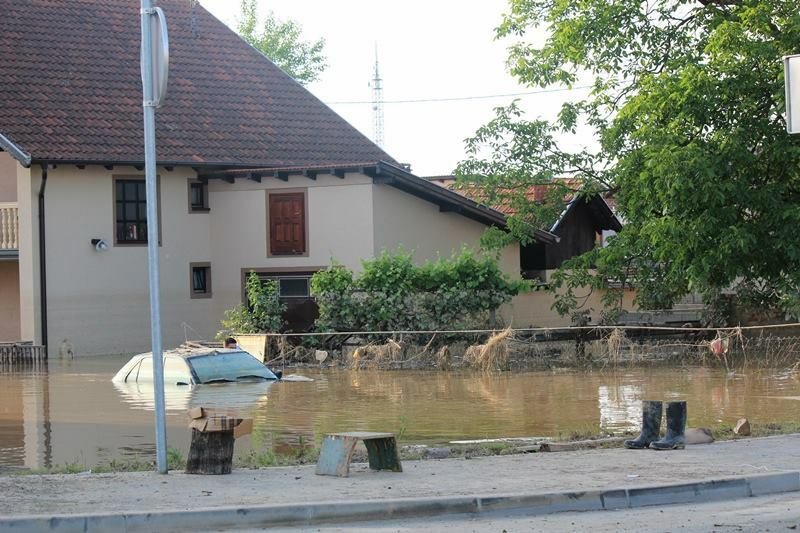 Authorities of Bosnia and Herzegovina declared today a day of mourning for those killed in the floods. At least 17 people have died. 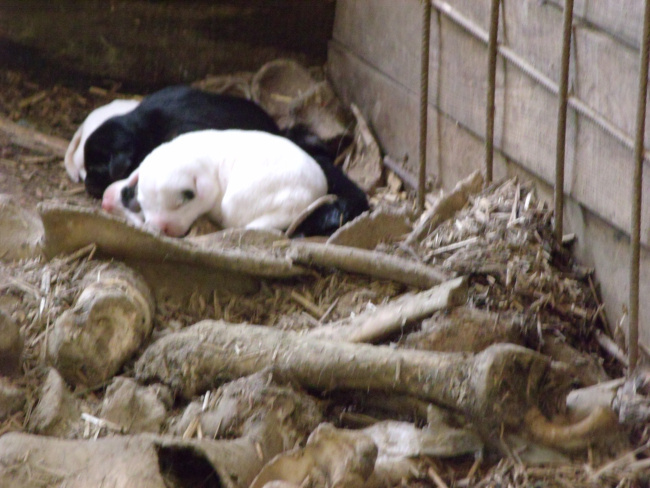 No one has counted the death toll of the animals – the cats, the dogs, the farm animals. 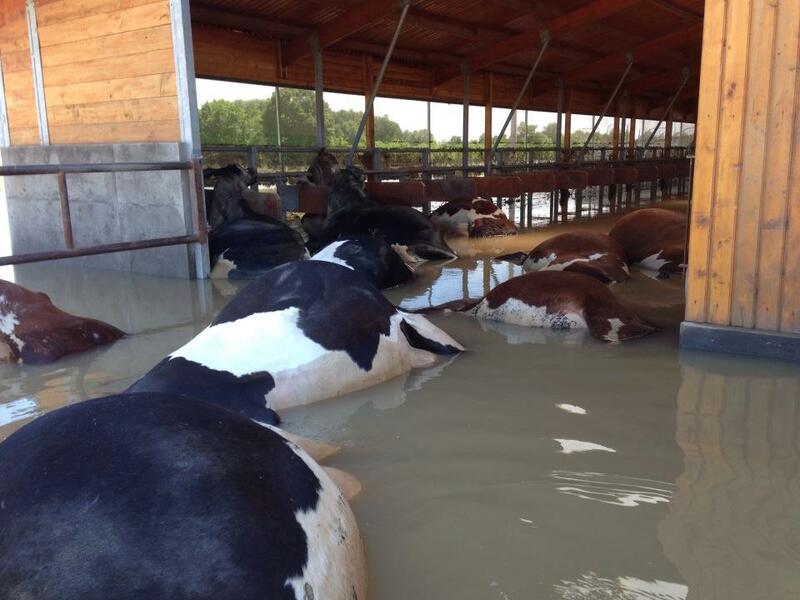 In just one farm – Borojević farm in Bosanski Šamac municipality, 400 cows drowned. 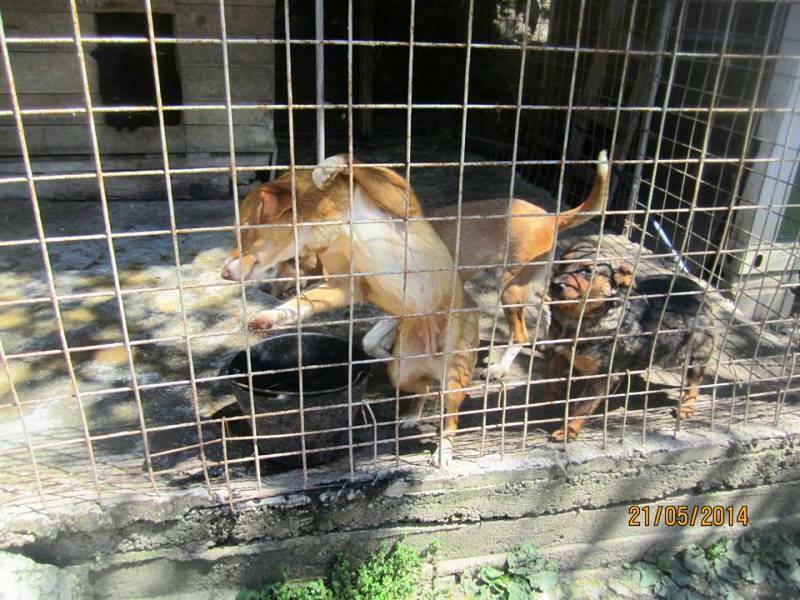 We have just heard that this town has maybe one hundred dogs surviving but abandoned, without food – both stray and owned, and this is only one small area! Rescuers are trying to organise a trip there to bring food. 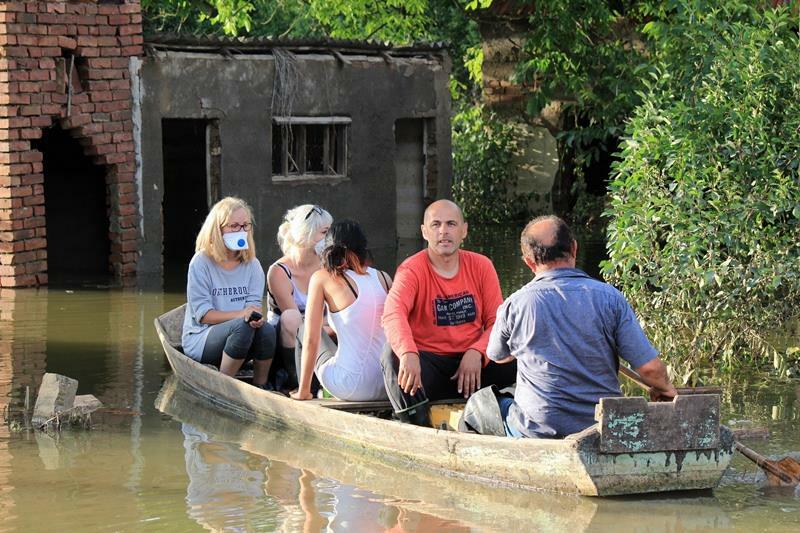 The government says 1 million people, or a quarter of the population, have been affected by the flooding and landslides, comparing the destruction to that of the country’s 1992-95 war. This is a natural disaster beyond the comprehension of anyone in the country. They have never suffered something like this in living memory. There are landslides and mudslides everywhere, roads and railway lines are destroyed and will cost more money than the country has to rebuild, and the floods have moved land mines left there since the war, which will endanger the lives of survivors and rescue workers. 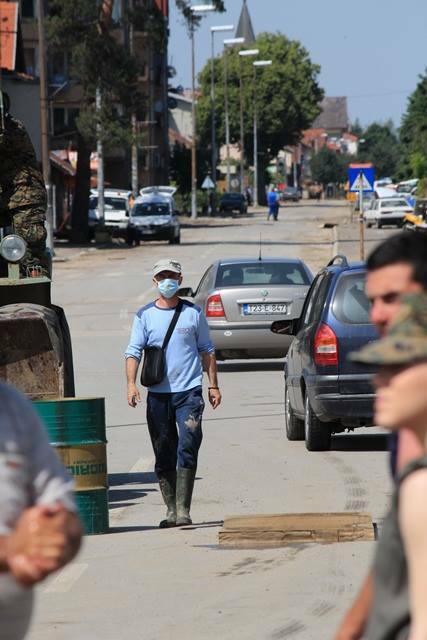 Someone from Doboj (one of the worst affected areas) said the water came into his town so quickly it was already 3 metres deep within an hour, and by the time the alarm sirens were sounded it was already there. People and animals had no chance. 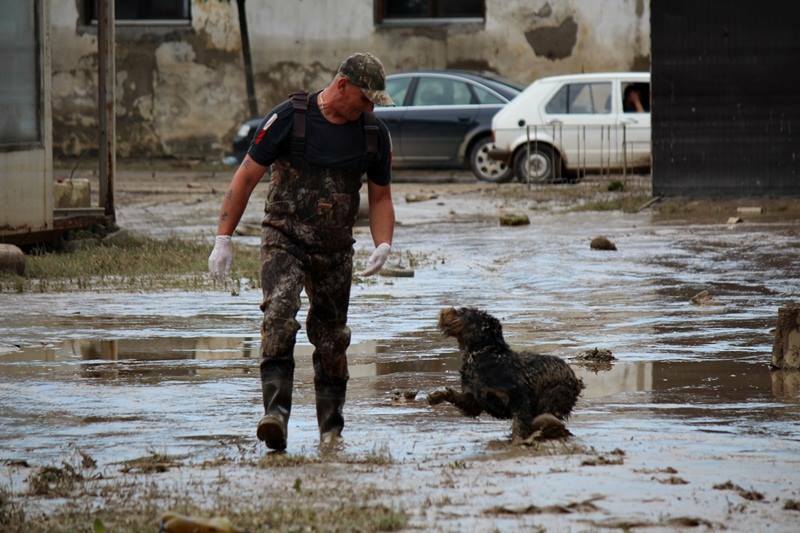 Andjeo Sarajevo animal welfare charity and other rescuers are working in all areas of Sarajevo and have visited many badly hit areas – they spent this last weekend in Olovo, Maglaj and Doboj helping both people and animals. They have released trapped and hurt animals, fed stray dogs and cats as well as owned dogs and cats from people who have lost everything. 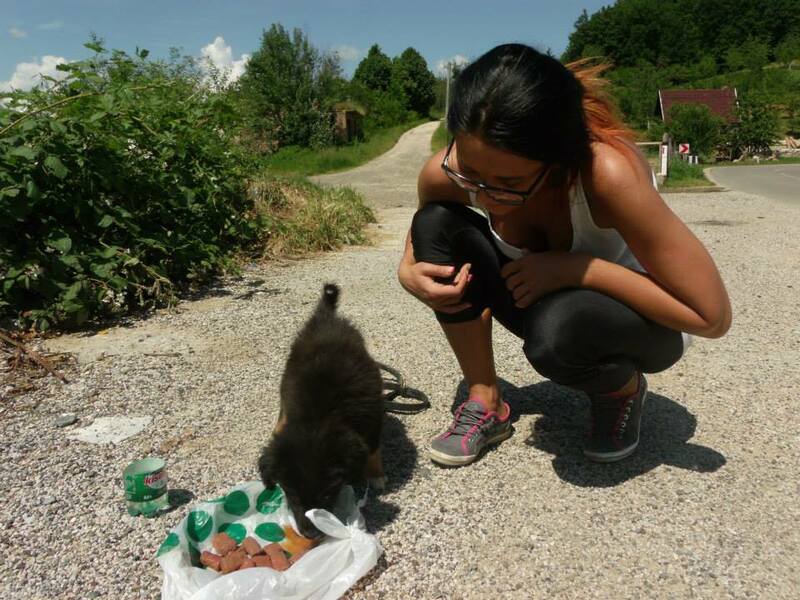 Andjeo Sarajevo also visited one of the ‘horror’ shelters in Doboj and fed the surviving dogs there. 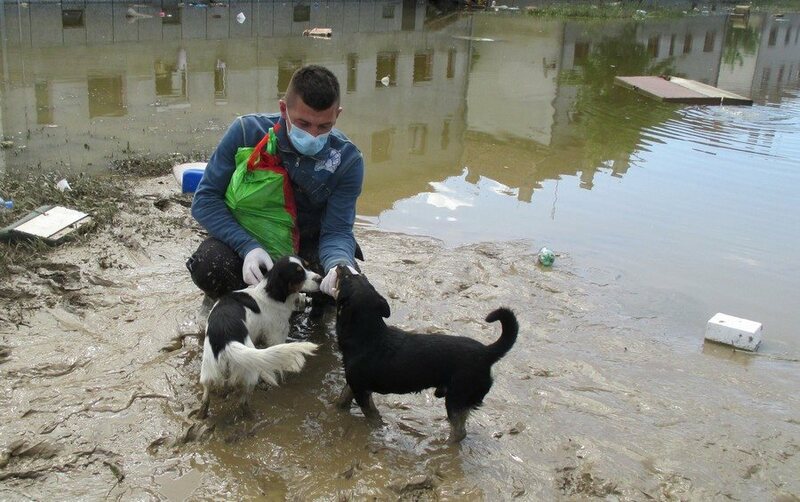 Rescuers from Tuzla area (Marianne’s Dog Food Bank organisation and others) have fed animals, rescued dogs from drowning, made shelters for street dogs, left food for packs of dogs and people who feed them. They also brought to the vet a litter of puppies with canine parvovirus. 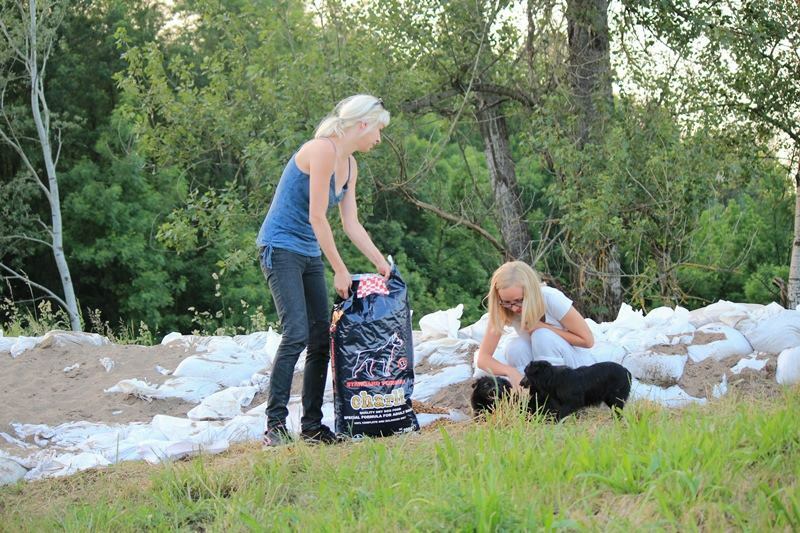 They distributed about 400 kg of dog and cat food to rescuers in Tuzla and other people feeding dogs and visited the areas struck by landslides in Tuzla. 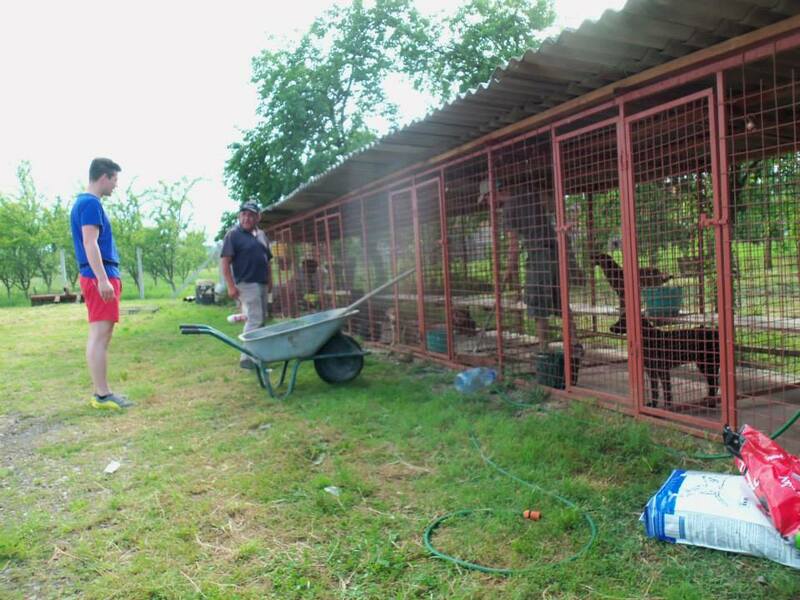 Orasje shelter is one of the best in the country, supported by Animal-Kind International and BAF. When rescuers arrived all was well but they prepared cages in front of each kennel so they could rescue dogs should flooding occur. 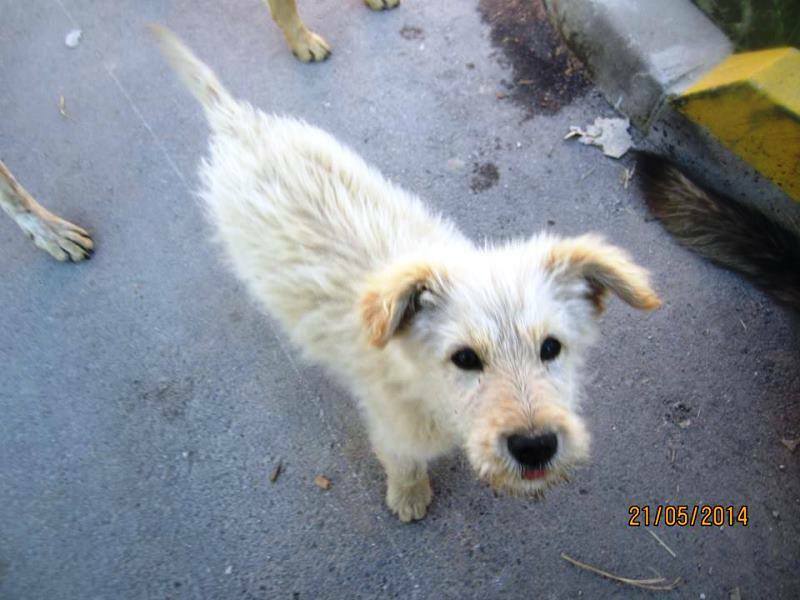 Tomorrow Andjeo Sarajevo and Journalists for Animals will drive to dog shelters in Foča, and Gorazde and other critically affected areas in BiH. It is a 2-3 hour drive to Foča and no one knows how the roads are. 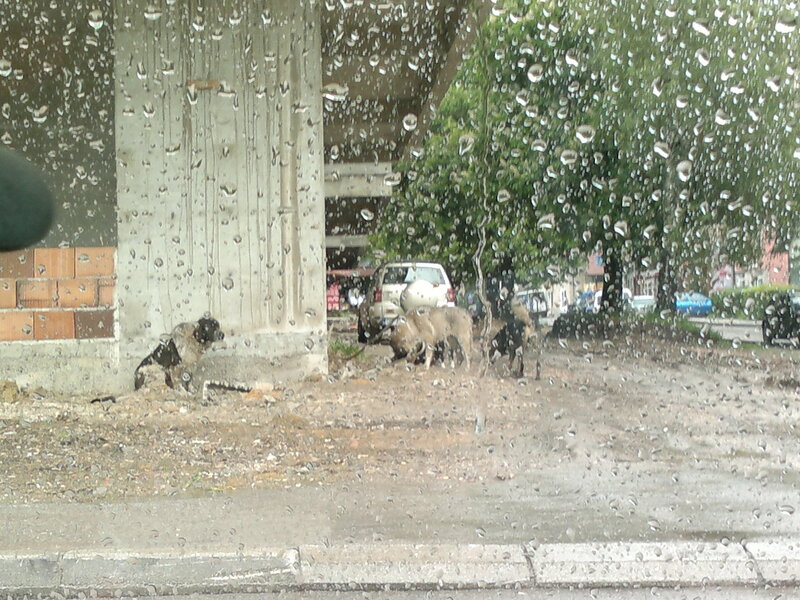 They will stop along the way to feed strays and any abandoned animals they find. We are very grateful for the generous donations – so much has been done with your help. 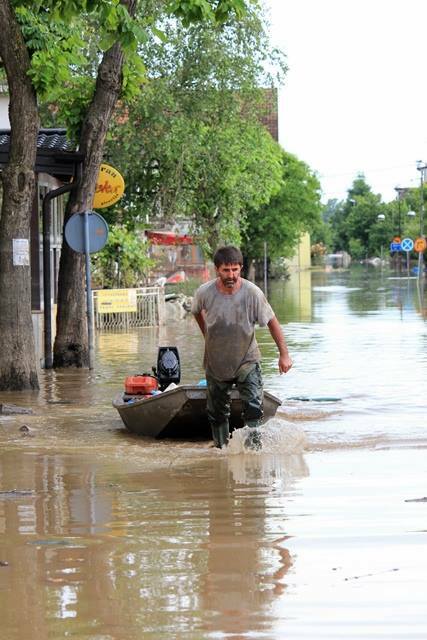 But the catastrophe is not over, help is still desperately needed. Donations for petrol, veterinary care, food, everything. We are distributing the funds amongst several groups and independent rescuers. 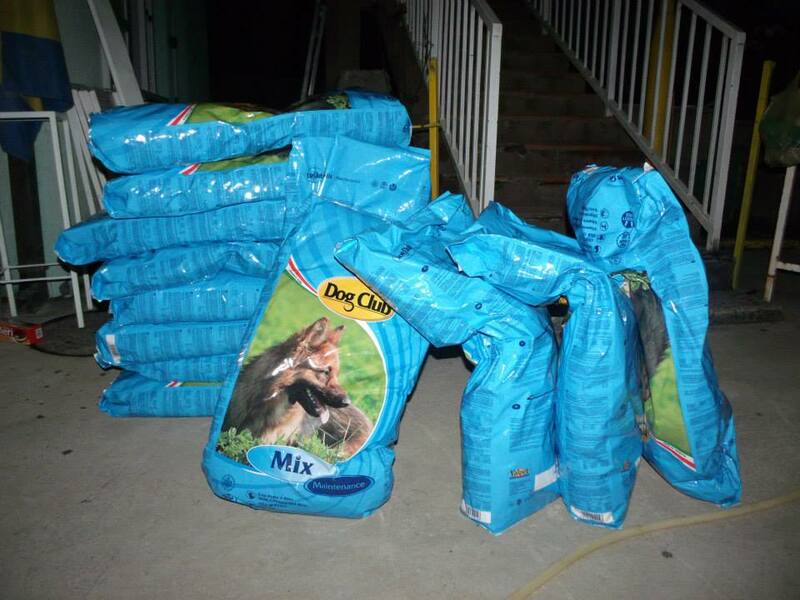 No amount is too small, with 10 euros it is possible can buy 10 kilos of dry food for dogs. 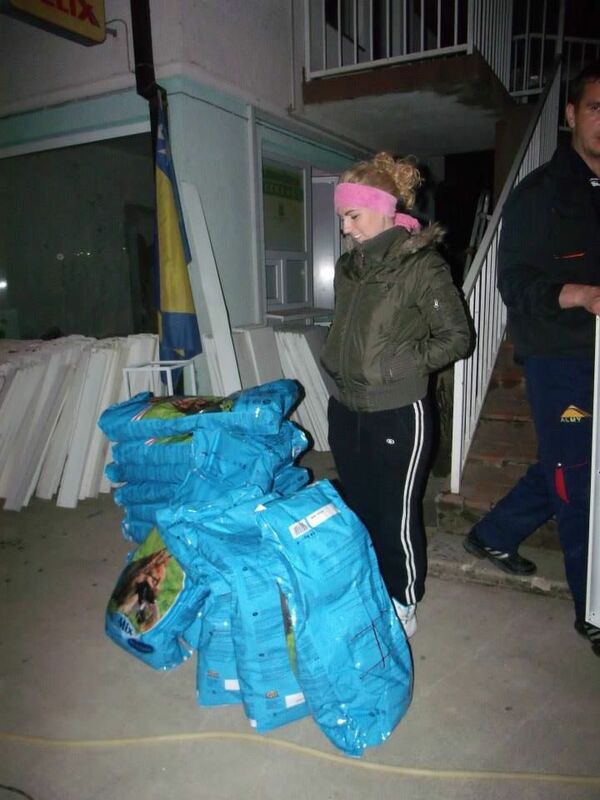 ALSO: supporters in Germany have donated 1.6 tons of food supplies – Royal Canine food (one year to expiry date), which they plan to deliver as soon as possible to Bosnia – they have the truck for the transport, the only thing missing now is the petrol money (and the driver). 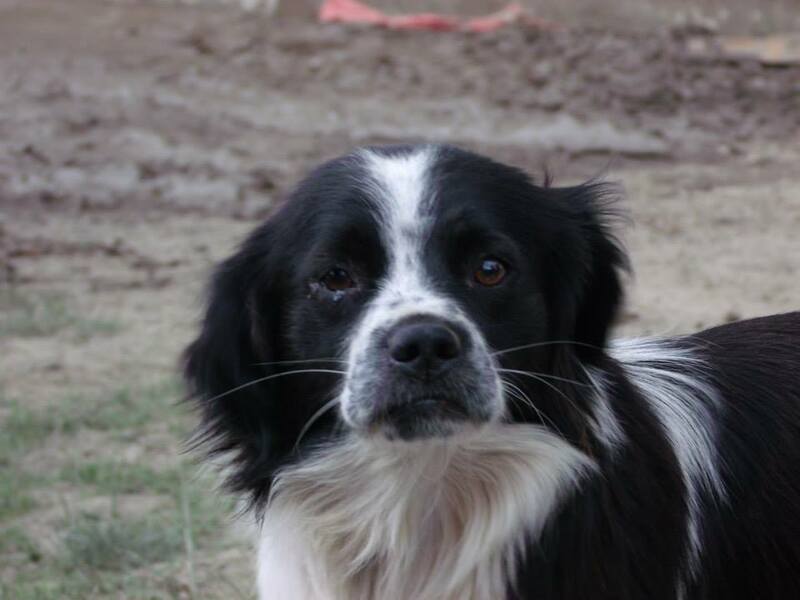 All in all, they are trying to raise EUR 800 for the transport, so we hope to help with this if not pay for all of the funds needed. This amount of food would cost far more in Bosnia and it is high quality food, much needed. 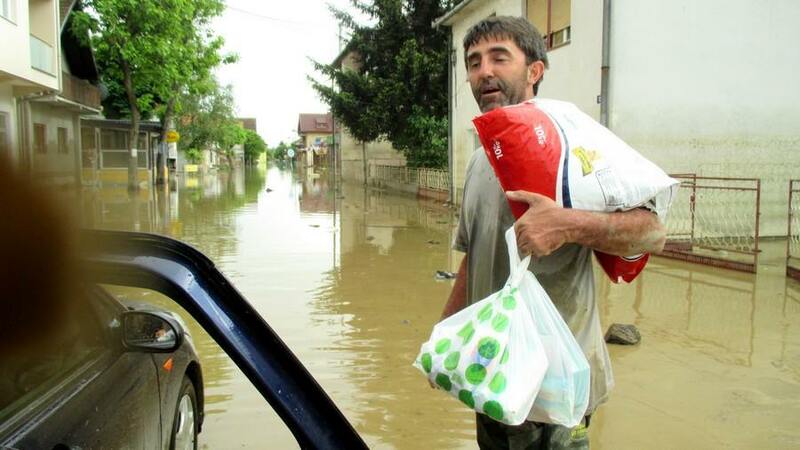 Food will be divided amongst the most needy shelters and areas and rescuers, throughout Bosnia. If you can help please donate via our YouCaring or via Paypal to donations@awabosnia.org as per the instructions below and mark it for EMERGENCY FUNDS. Thank you!! Yesterday we visited Olovo. If I had to describe what we saw there in one word that word would surely be sorrow. 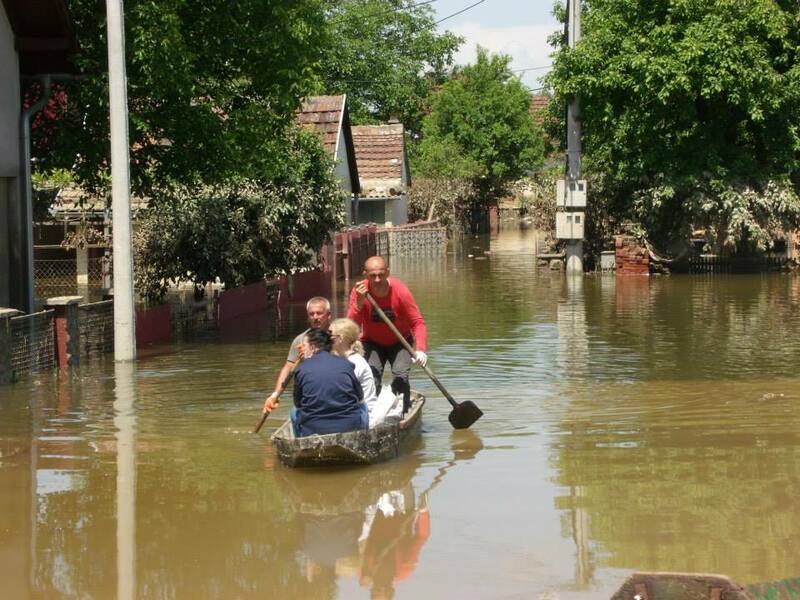 Along with us, a Red Cross vehicle also headed for Olovo. 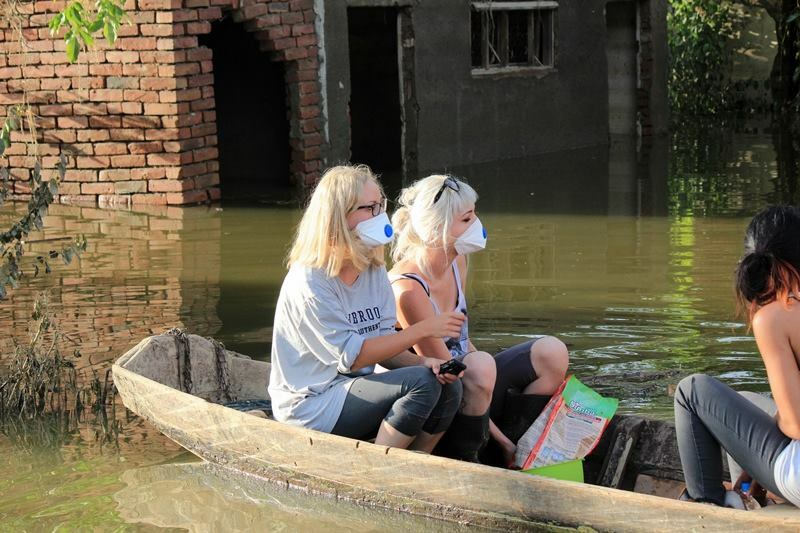 When we came to town we were surrounded by a sad atmosphere, of people ejecting water from their cellers, cleaning their flooded houses and apartments, lacking in food and water, hoping things will get better, and thanking us for coming by to ask how they were doing. 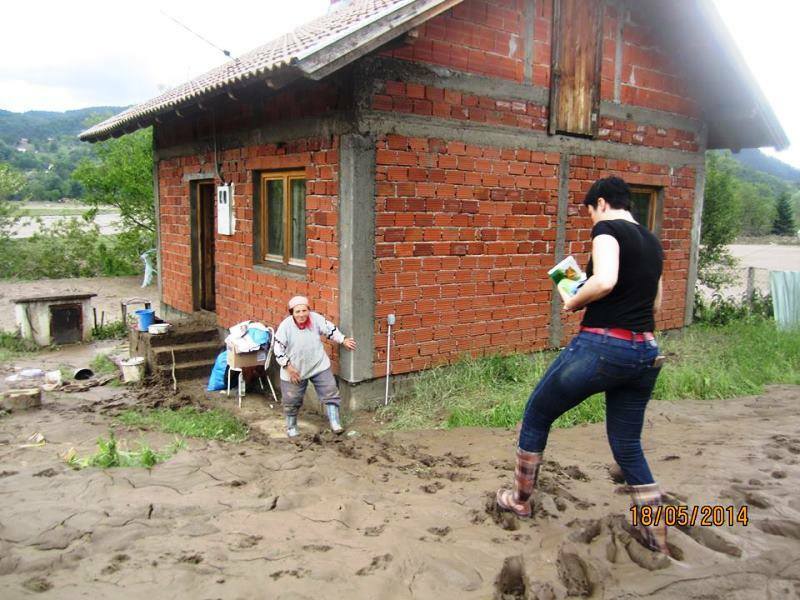 News from the latest efforts by activists in the emergency situation in Doboj, Bosnia Herzegovina. 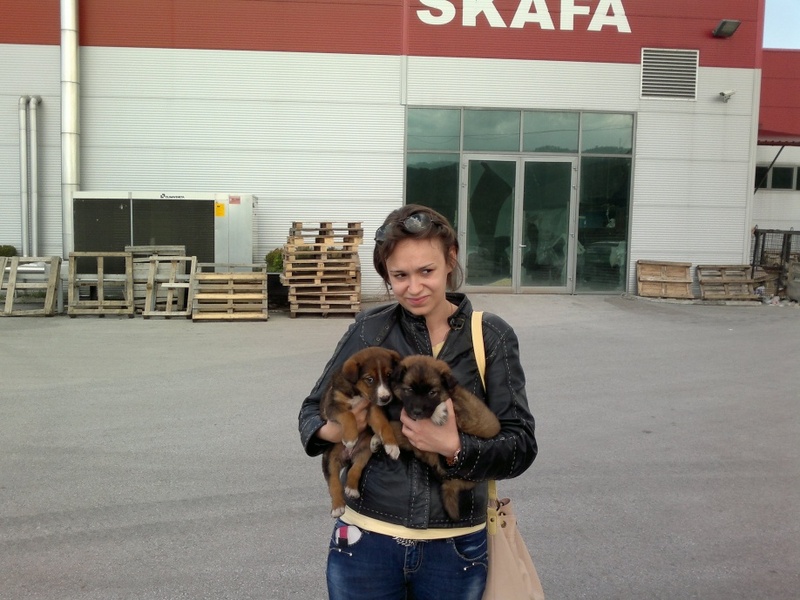 Today activists activists from Animal health and protection association “Angel” from Sarajevo visited dog shelter at Doboj. Like the rest of the town the shelter that is 12 km outside of the town is enveloped in ghastly atmosphere. 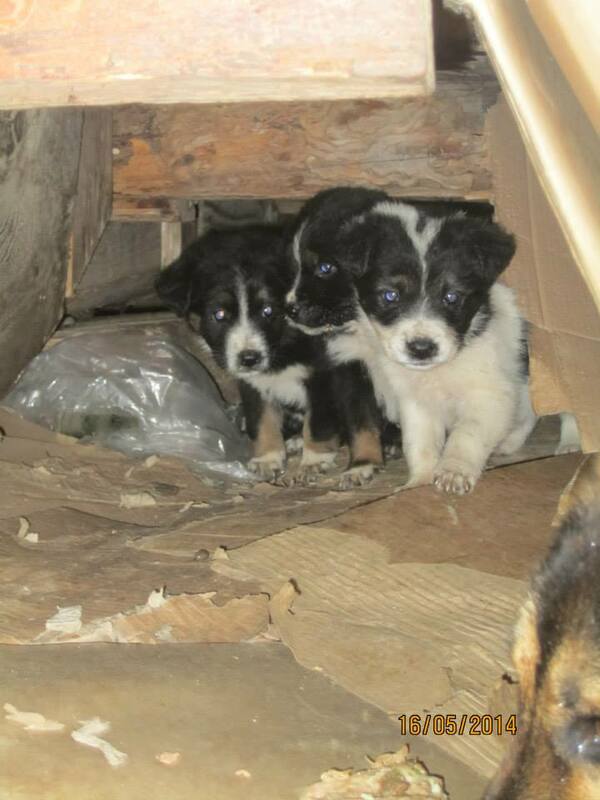 They express hope that the Preslica shelter management will soon normalize the catastrophic state of the shelter. Journalistsforanimals.worldpress.com will attempt to contact the management and give you the other side of the story as soon as possible. 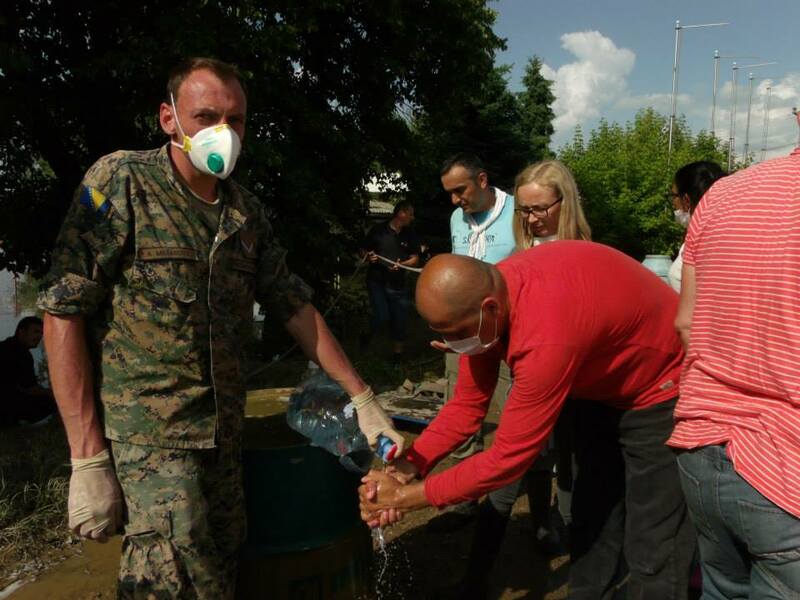 It is day five of the emergency situation in Bosnia Herzegovina. Thank you everyone for your ongoing donations! 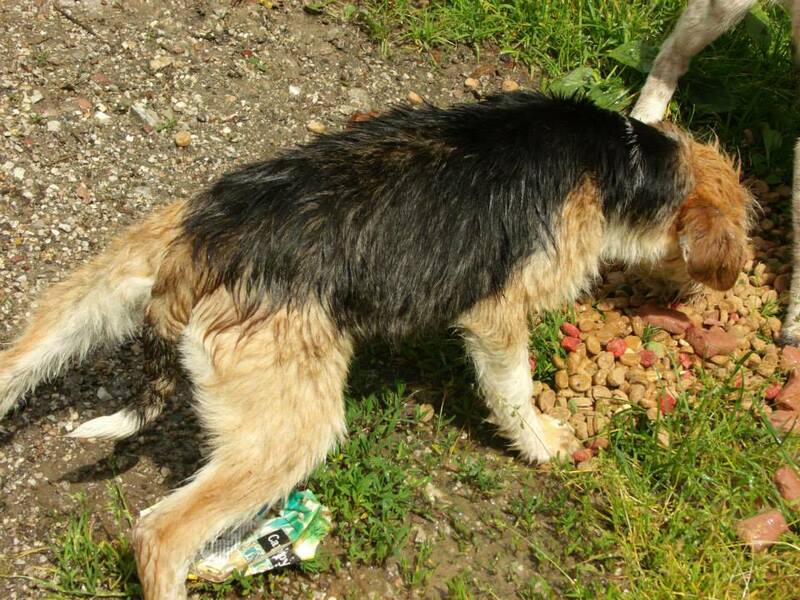 Rescue work continues with food being brought to stranded dogs and cats. Areas most affected are now being driven to as the water begins to subside. 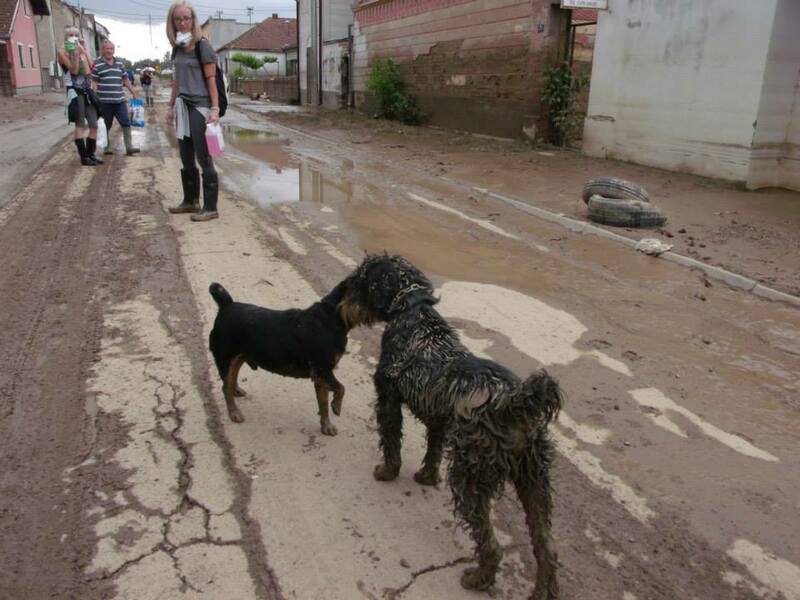 While the Red Cross, the European Forces, the Slovenian Army, the UK Flood Response team and other organisations are assisting, as far as we know the only people trying to help strays and dogs and cats abandoned from evacuations are a tiny handful of animal advocates and groups like Marianne’s Dog Food Bank in Tuzla and Sapa Zenica in Zenica. We are distributing funds raised between as many as we can. PLEASE KEEP SHARING OUR FUNDRAISER. 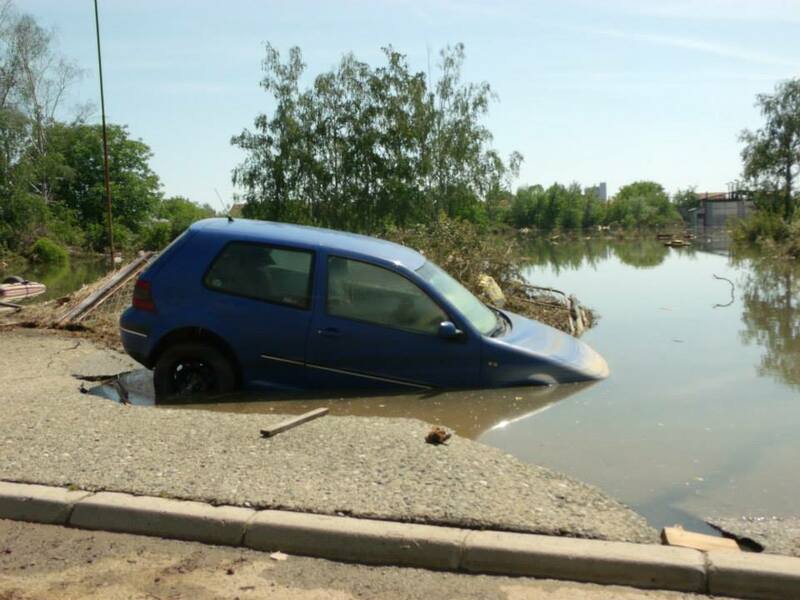 The news is ongoingly terrible: at least 25 people dead and fears that landmines will be exposed after the torrential rain. Tens of thousands of homes are left without electricity or drinking water. We have no idea of the death toll of the animals. 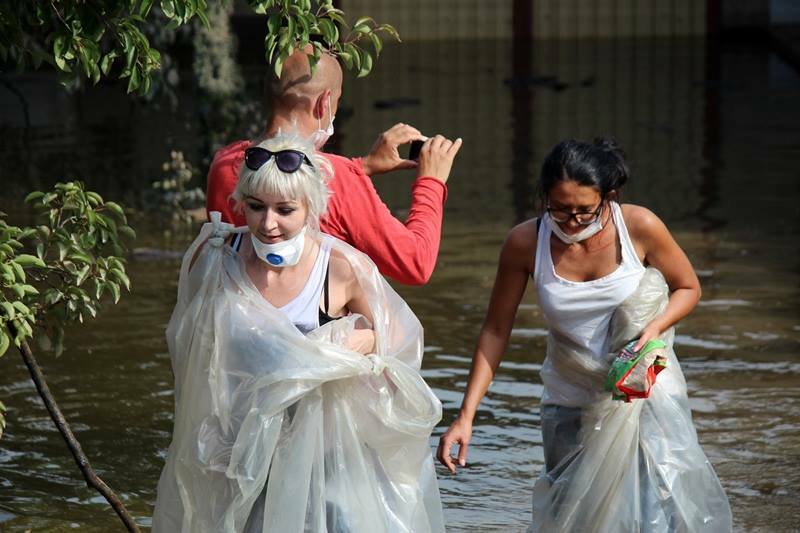 Many people’s bodies have been recovered so far in Doboj. Word is that whole families died trapped in cars and ve hicles when caught in flushing floods in the area. 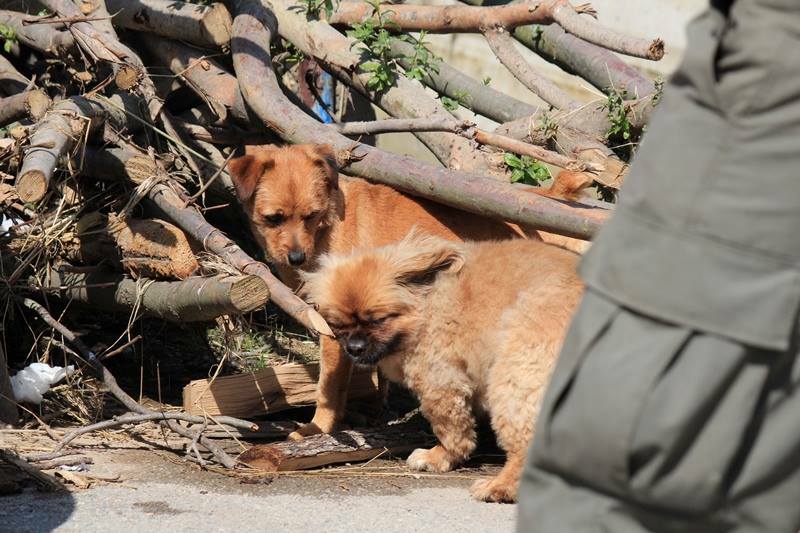 There is one of Bosnia’s ‘horror’ dog shelters in Doboj… rescuers have just reached it and tell us the situation there is critical. There is no food or water for the dogs. 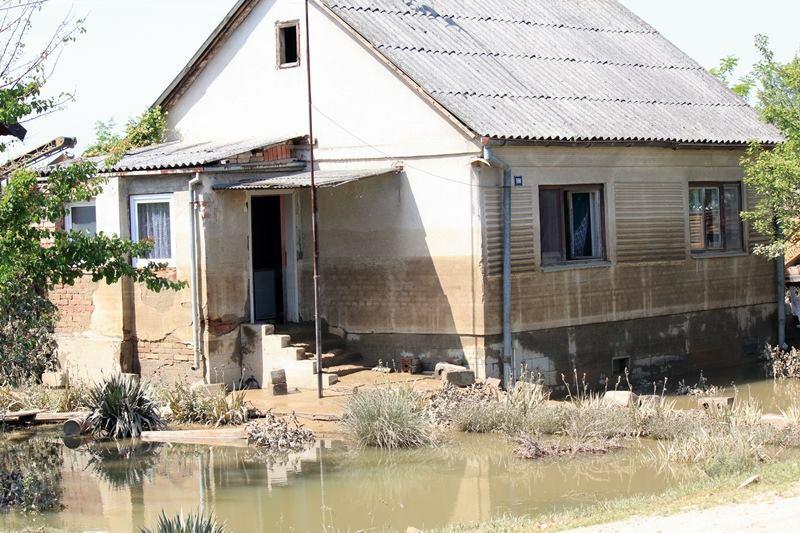 Around 5000 houses are flooded in Prijedor municipality, 40,000 people are left without drinking water because municipal water system is flooded. 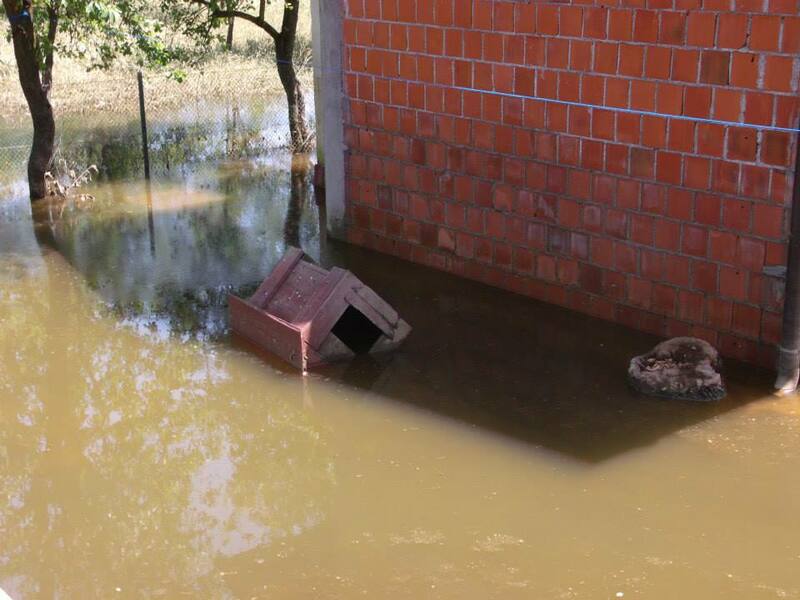 Fedin Gunic’s safe haven for over 100 rescue dogs and cats shelter is without water. 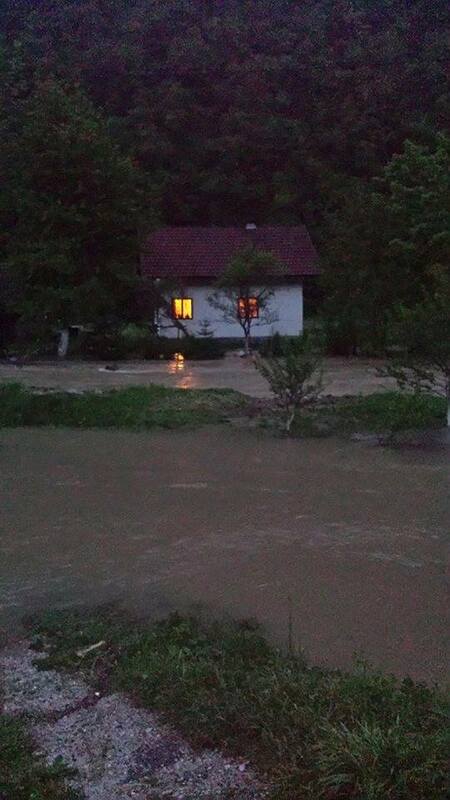 In the northern town Banja Luka, the river Vrbas overflowed. 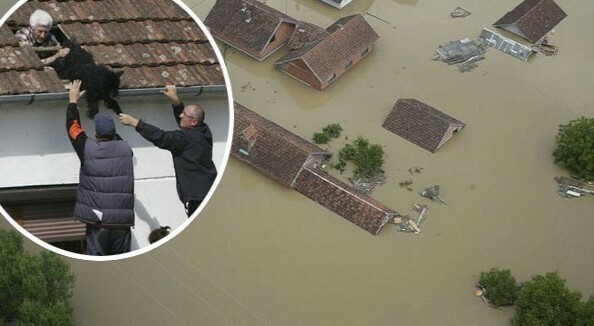 “We have been waiting for the rescuers for hours, too many people are in danger,” Milanka Stojic, a 62-year-old pensioner said.Volunteers were trying to collect hundreds of stranded cattle that have fled flooded farms around Banja Luka, according to Mirko Ostojic, the owner of a dairy farm. 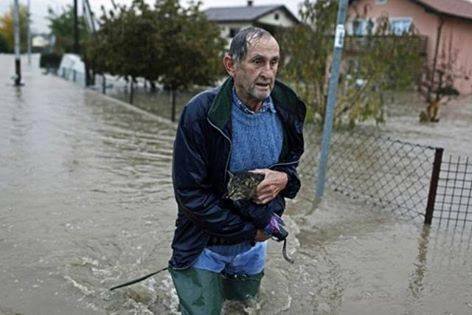 “Many animals are trapped in the mud and dozens of sheep have just been swept away by the floods,” Ostojic said. 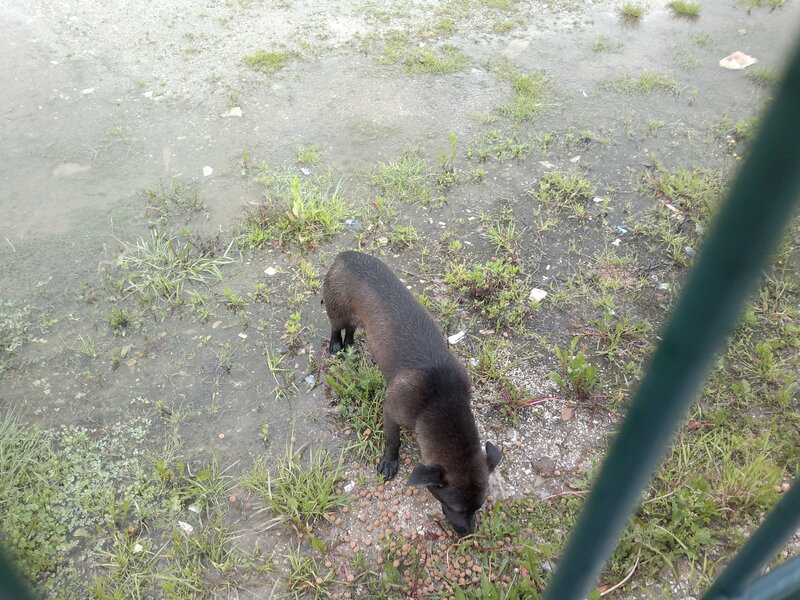 Help is needed for the animals! Donations for petrol, veterinary care, food, everything. 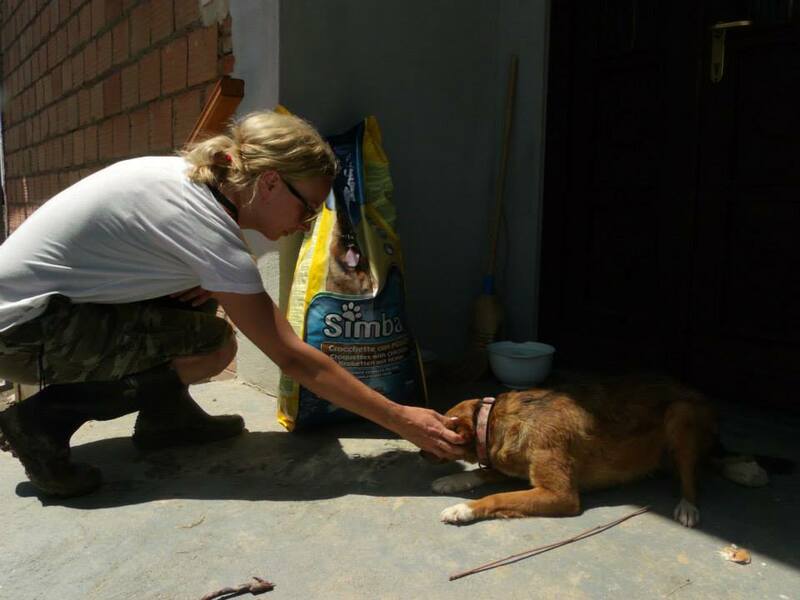 No amount is too small, with 10 euros it is possible can buy 10 kilos of dry food for dogs. If you can help please donate via our YouCaring or Paypal to donations@awabosnia.org as per the instructions below and mark it for EMERGENCY FUNDS. Thank you!